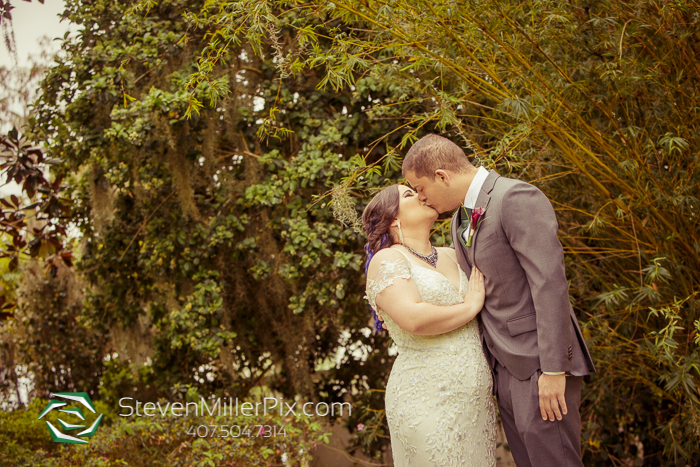 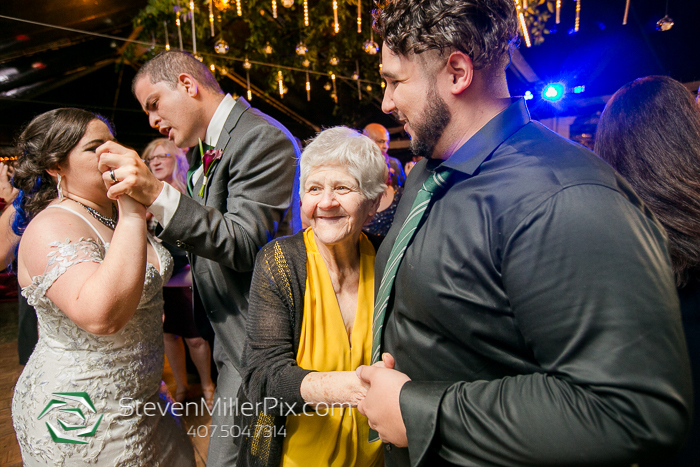 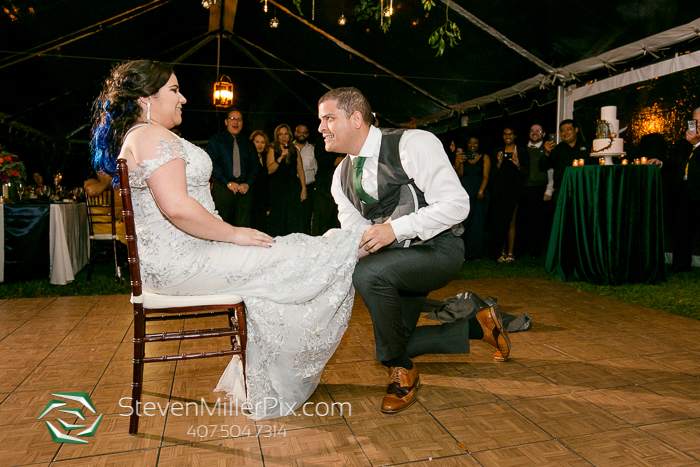 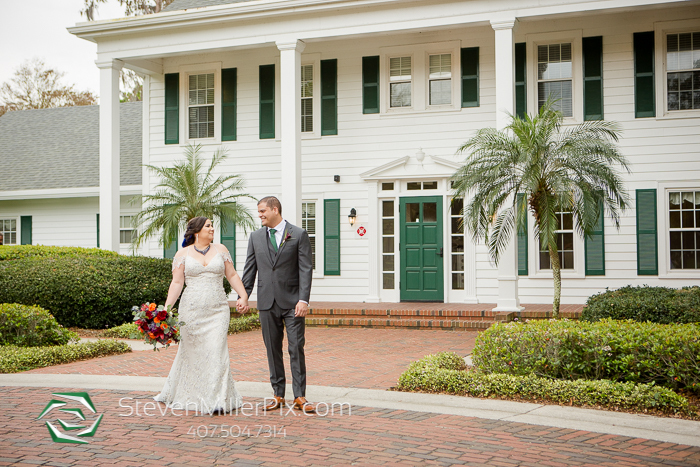 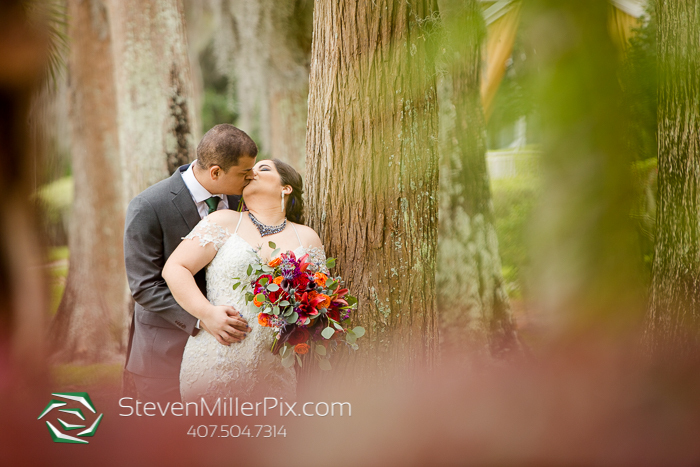 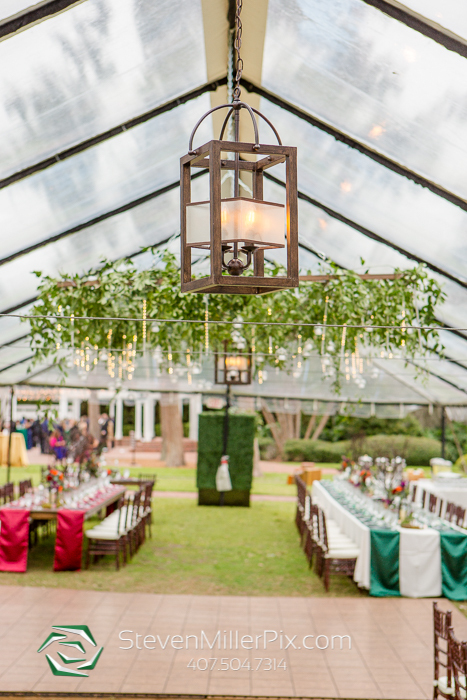 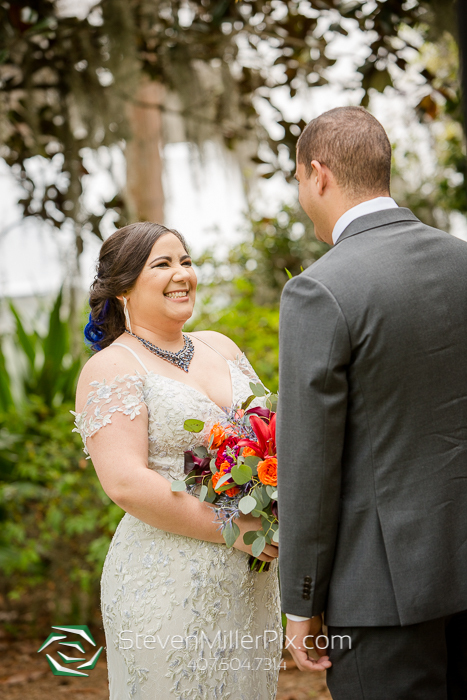 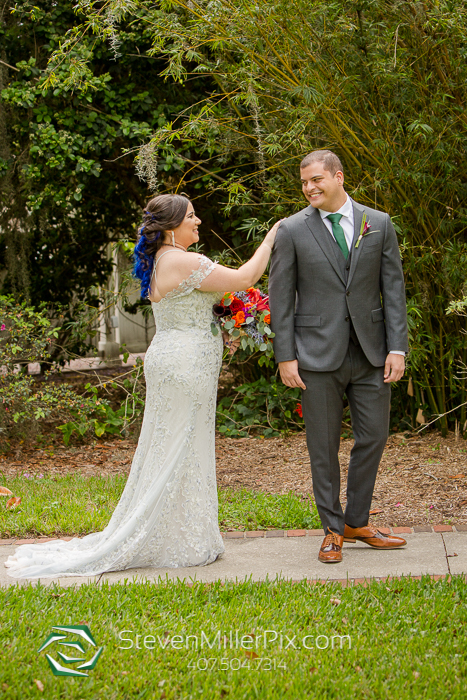 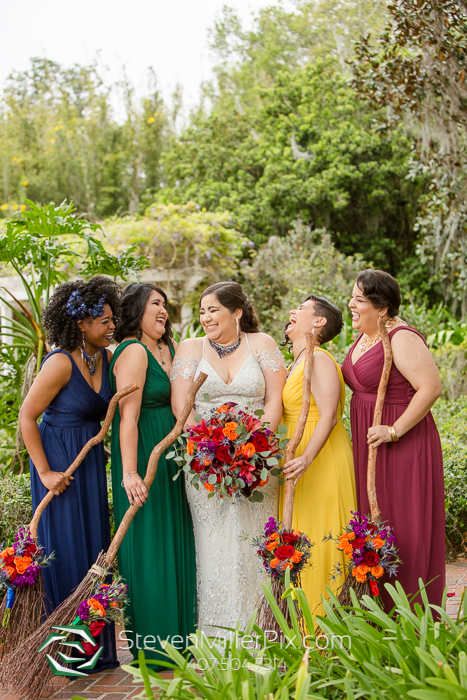 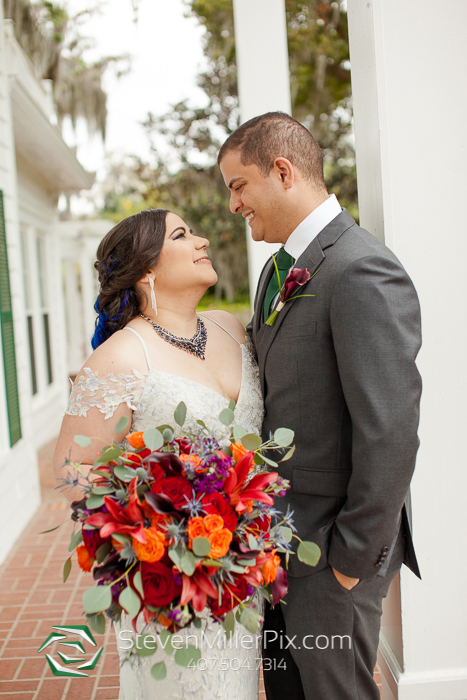 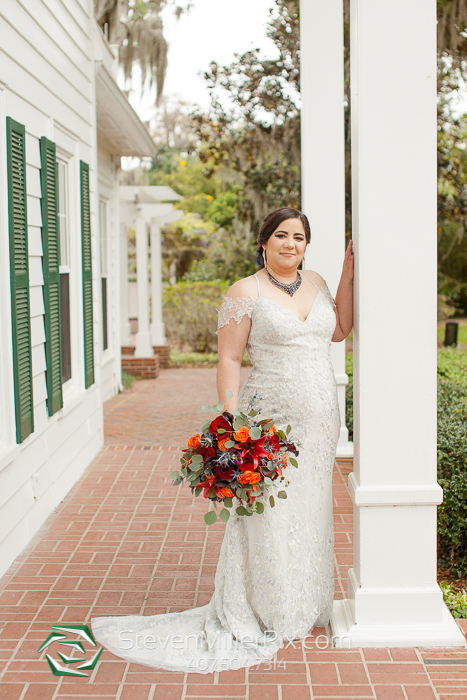 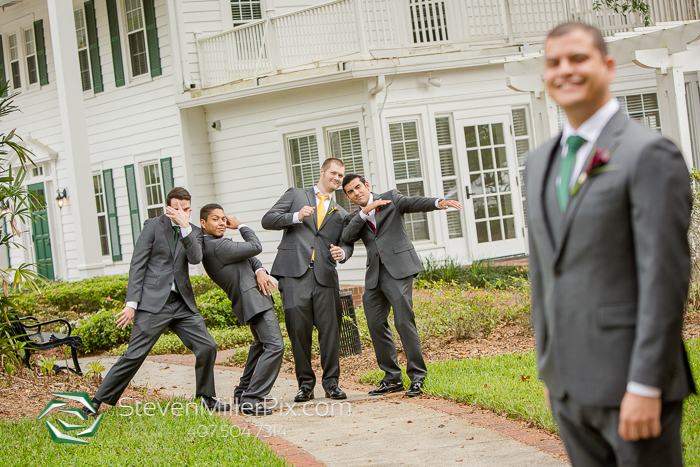 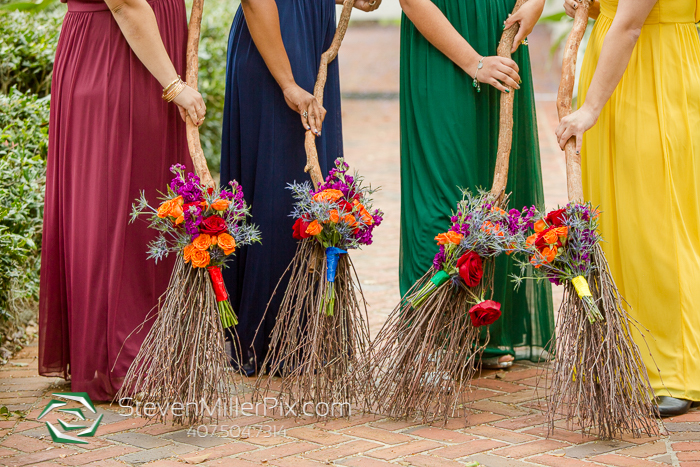 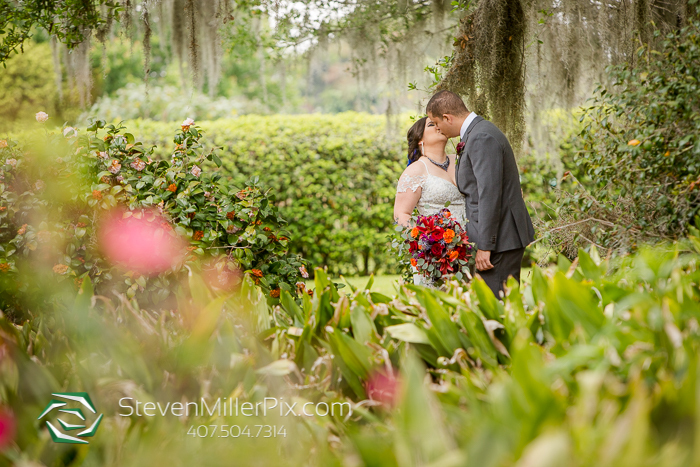 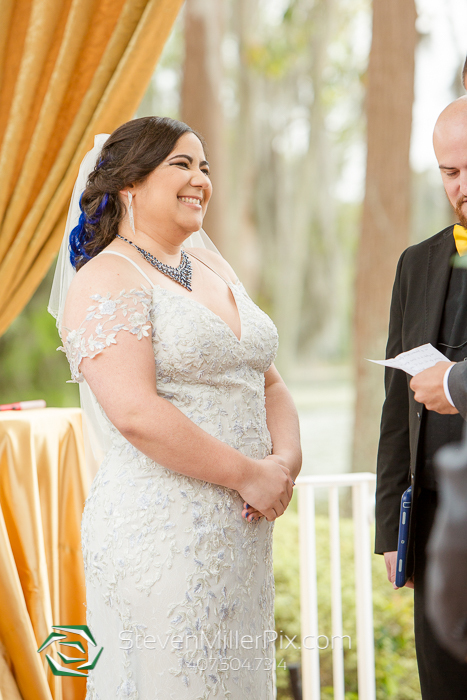 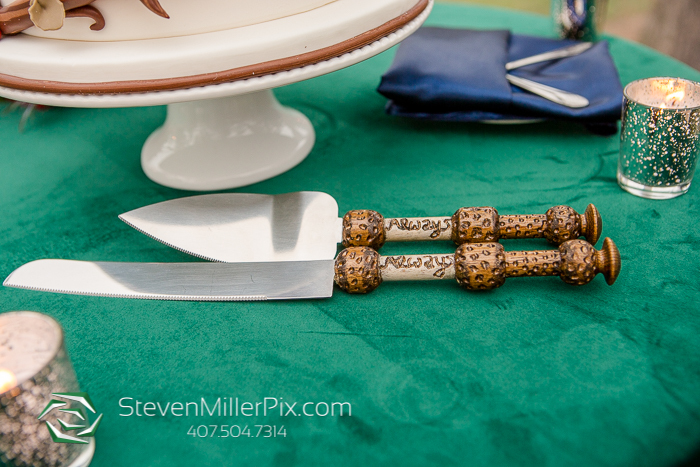 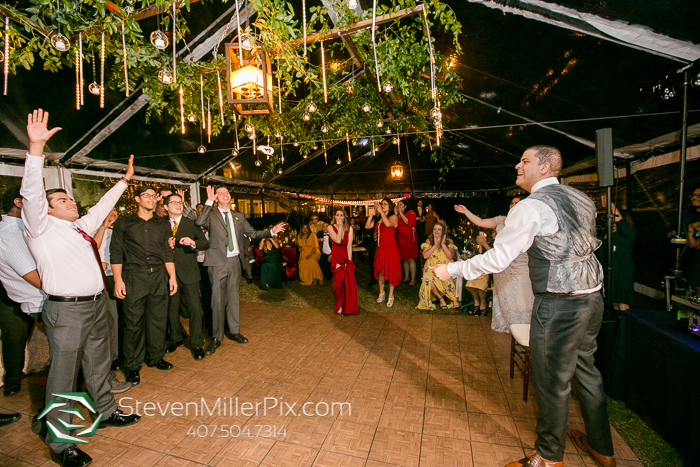 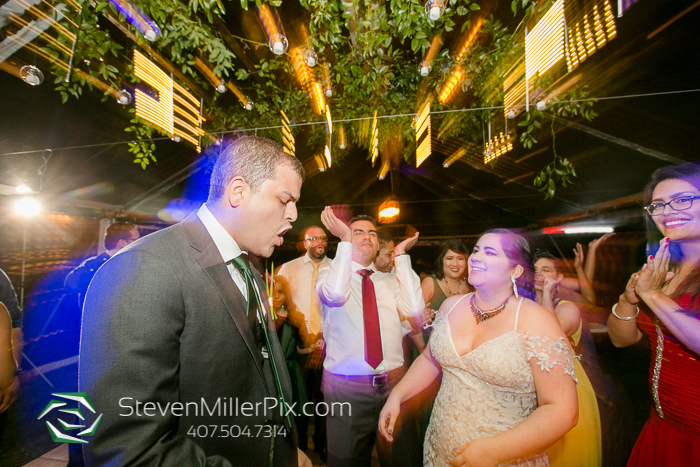 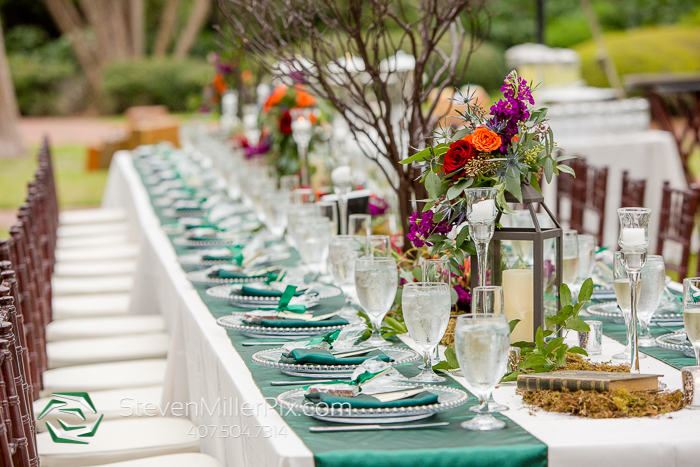 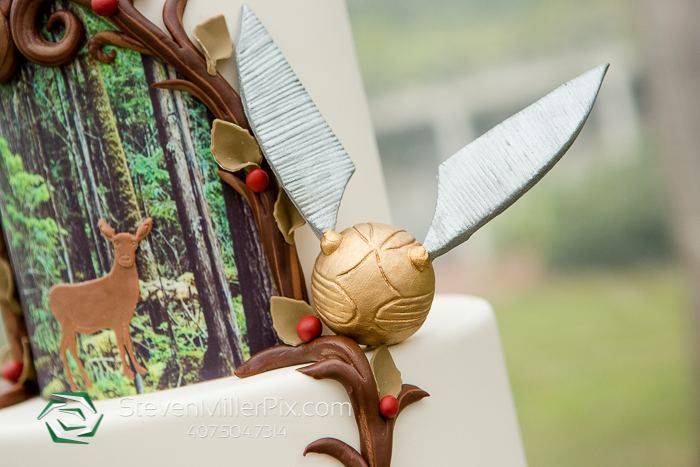 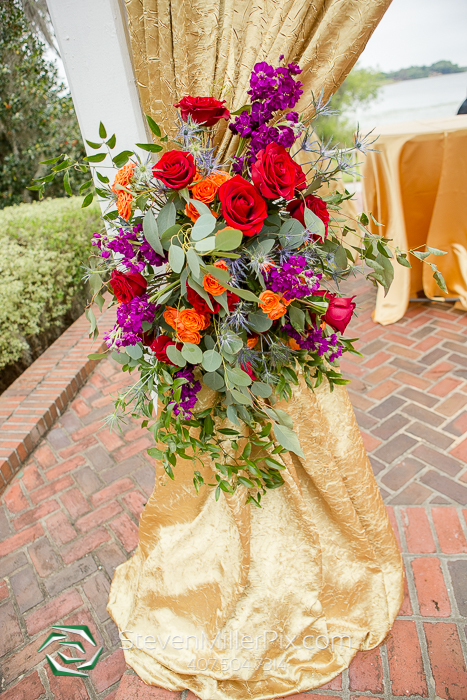 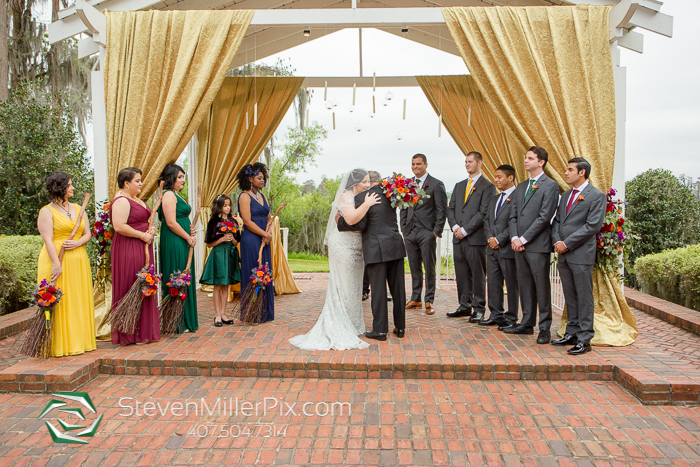 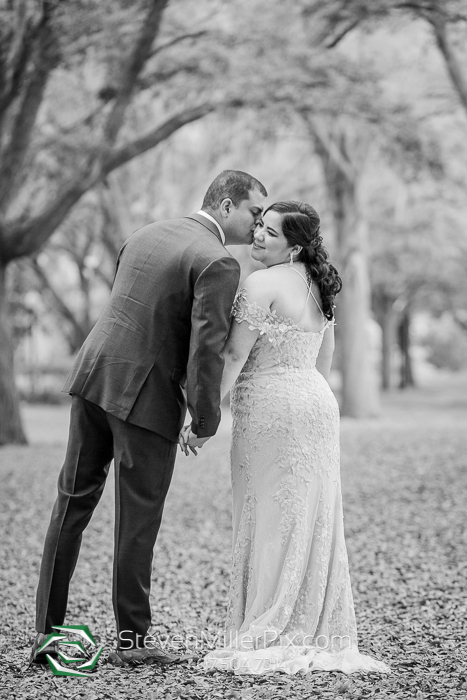 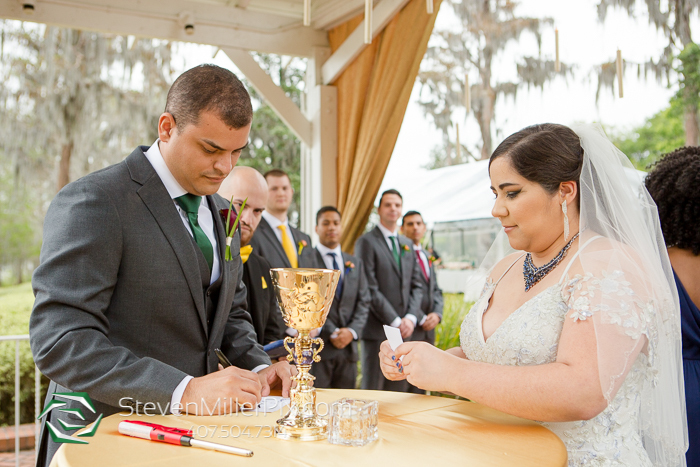 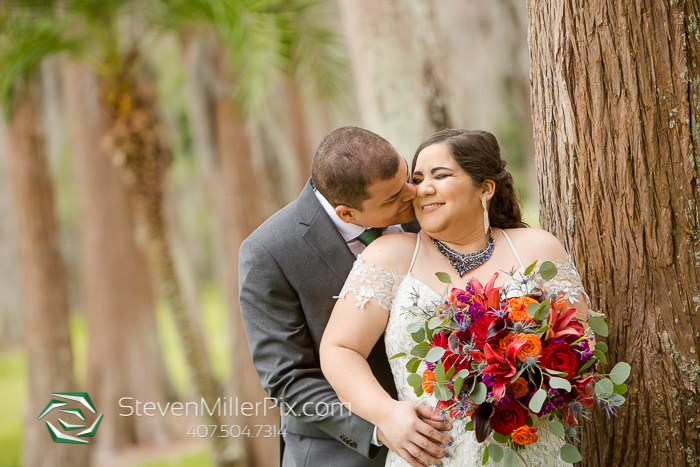 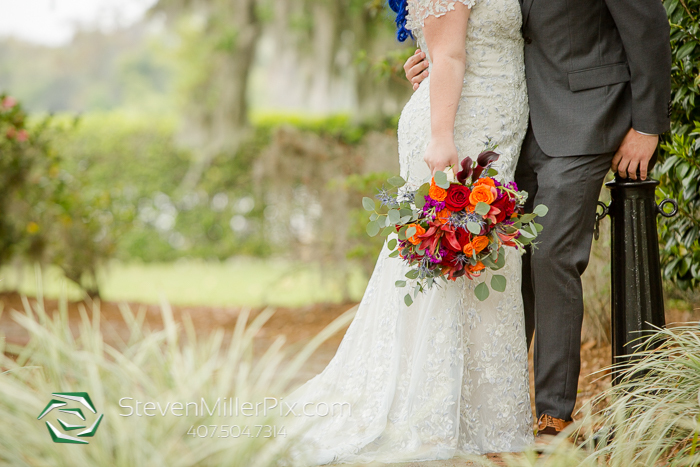 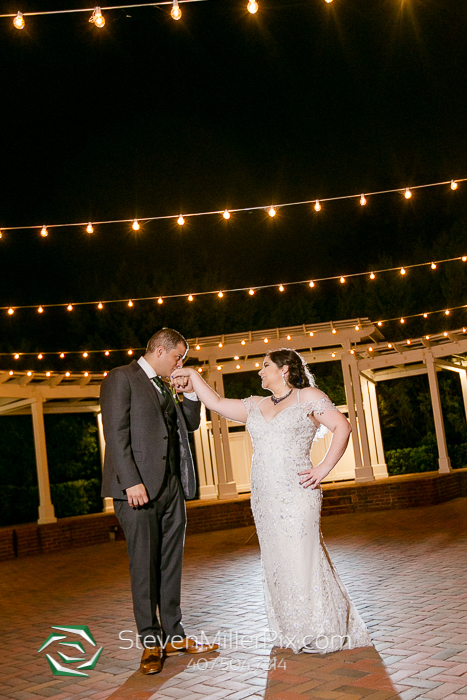 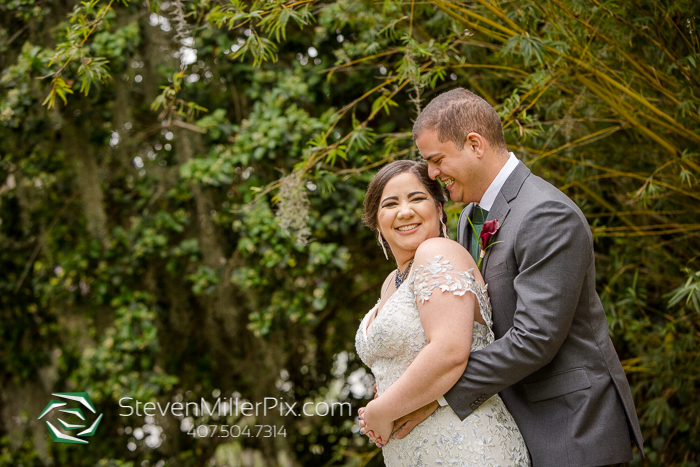 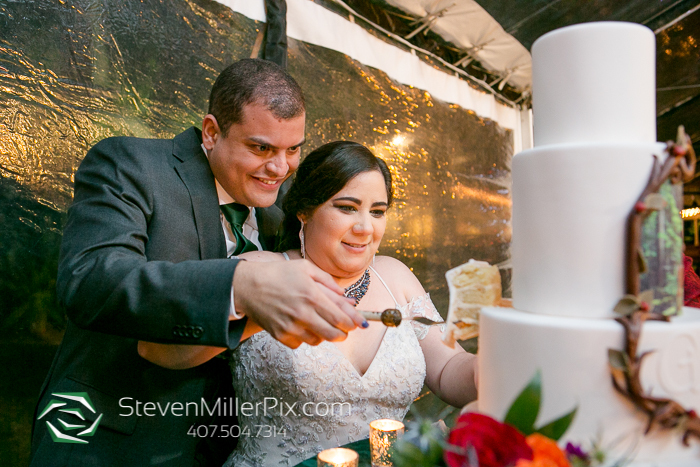 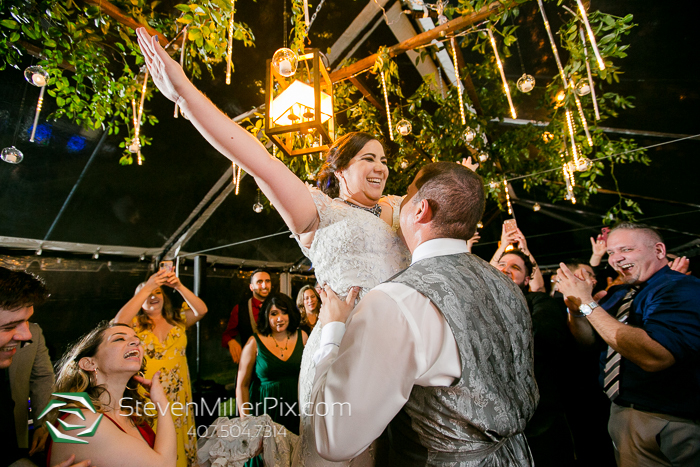 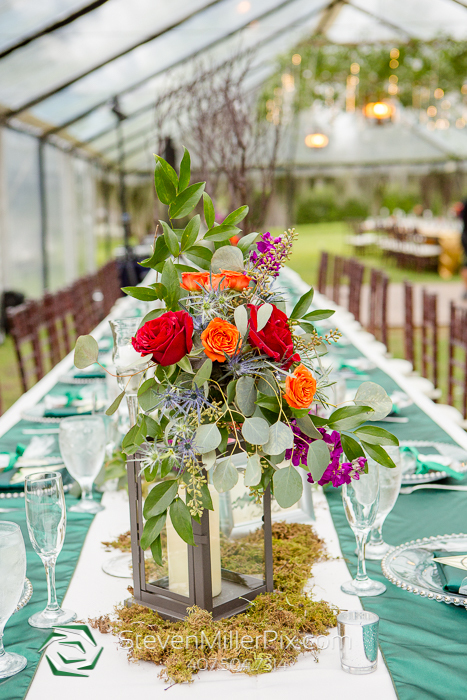 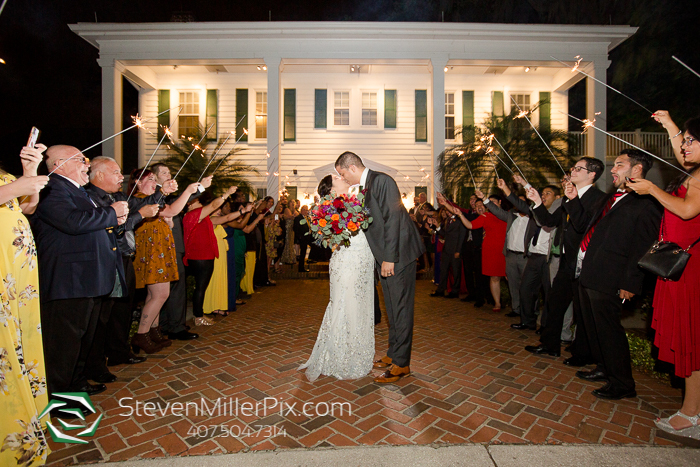 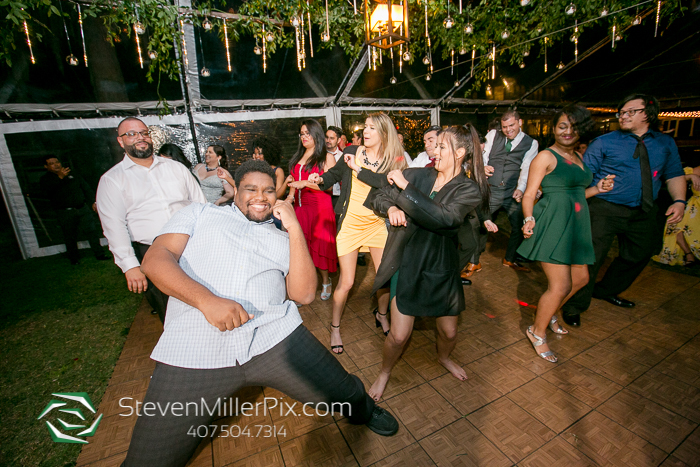 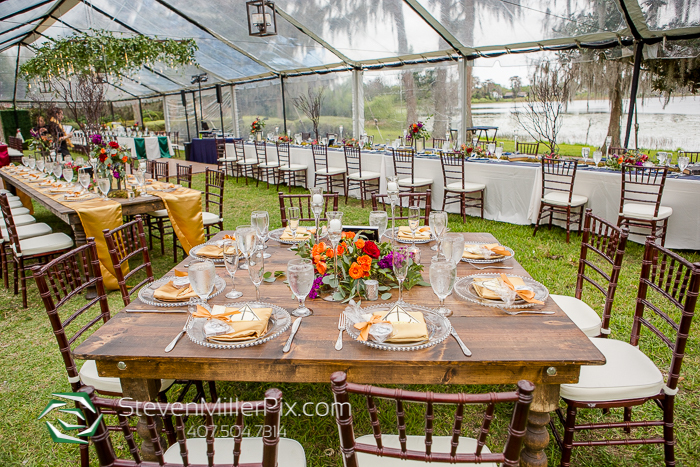 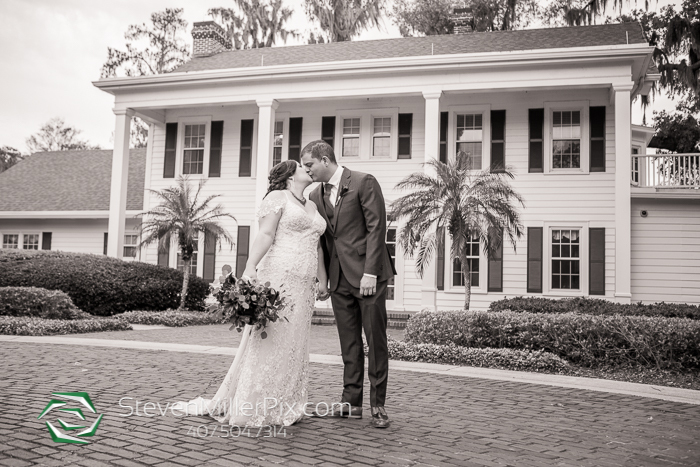 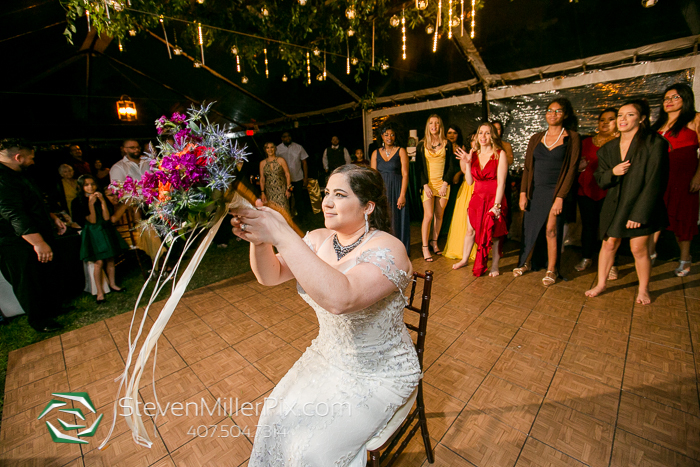 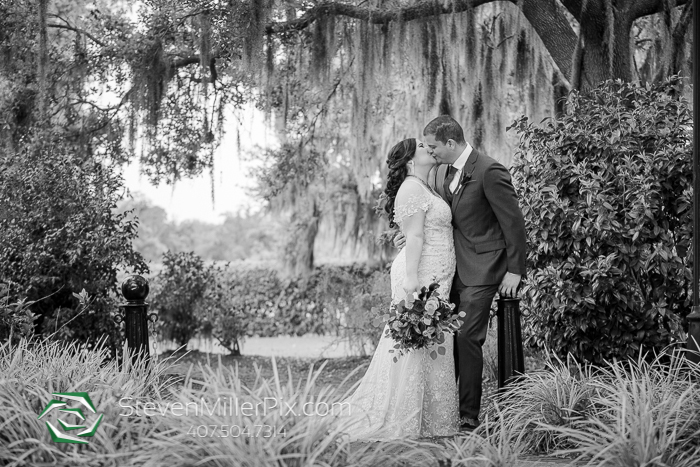 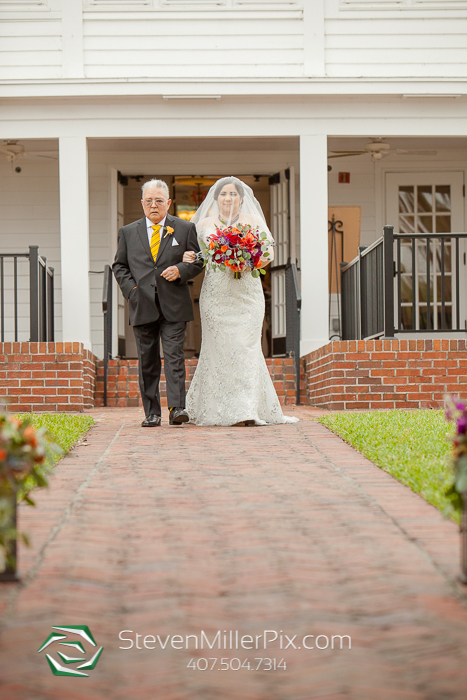 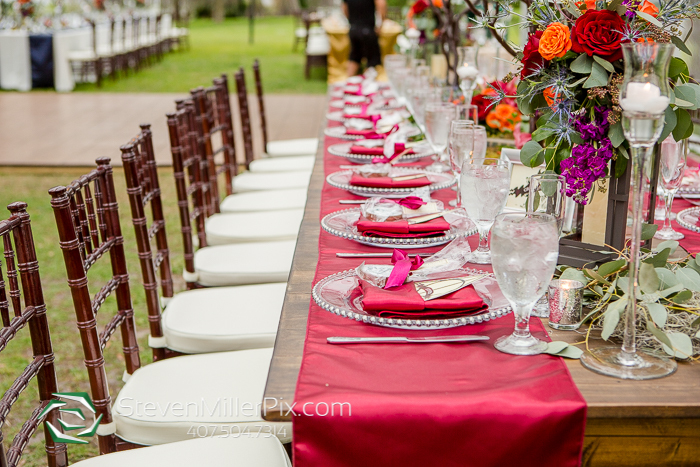 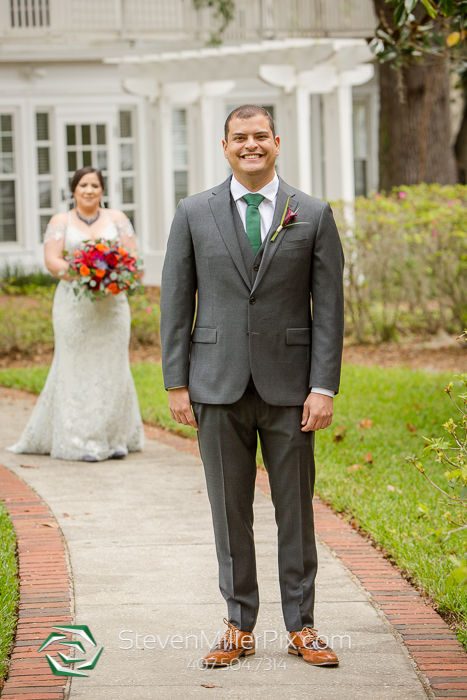 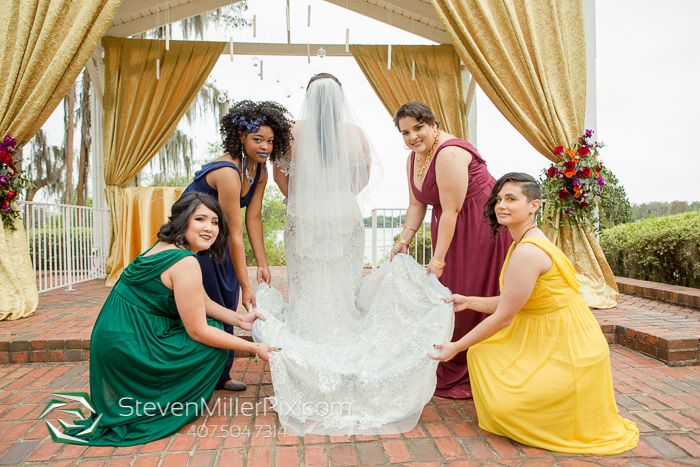 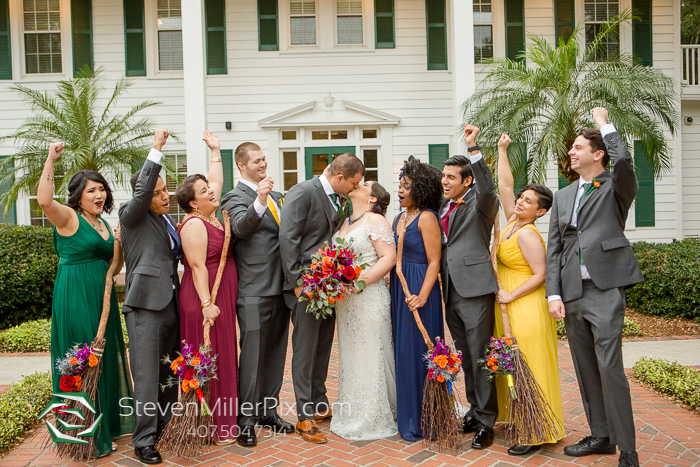 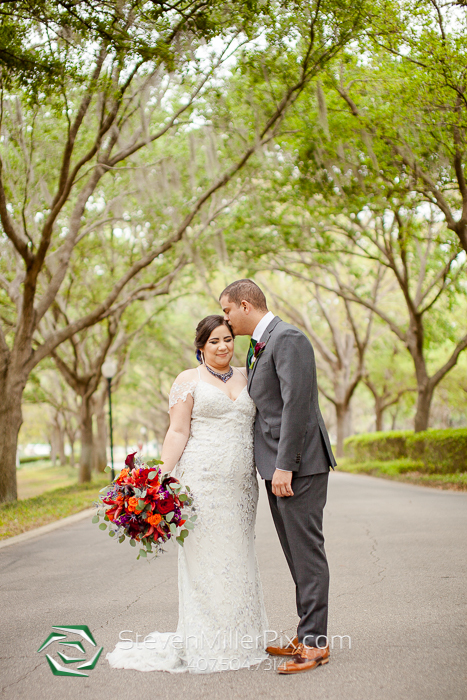 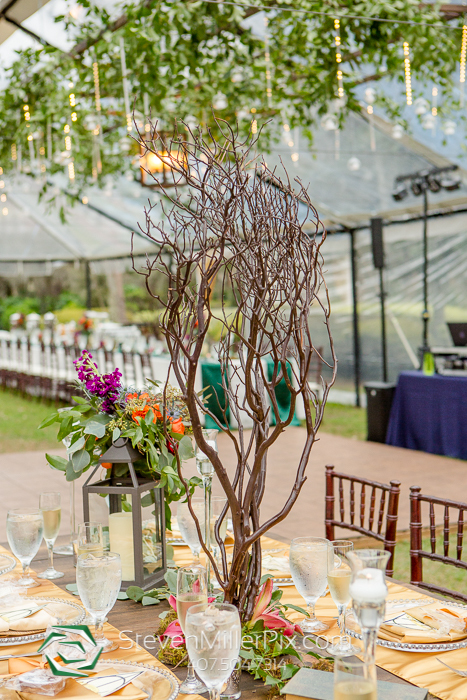 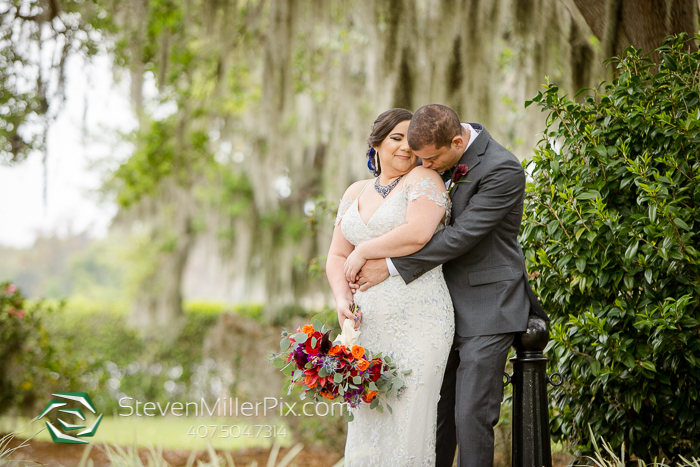 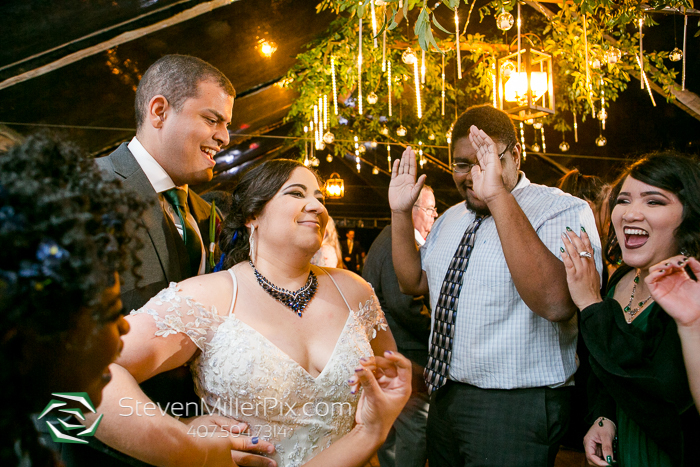 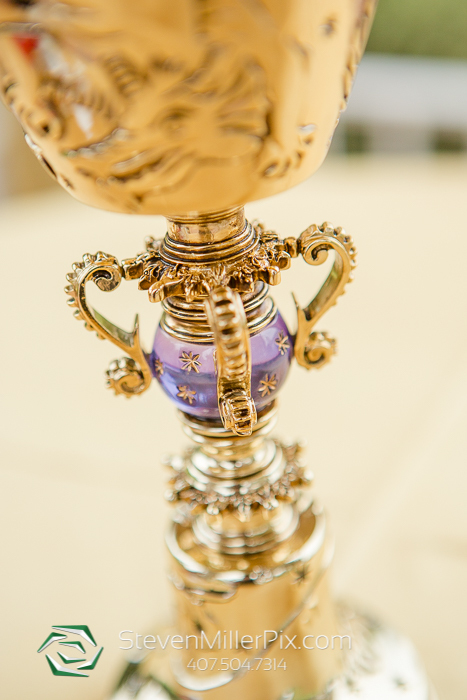 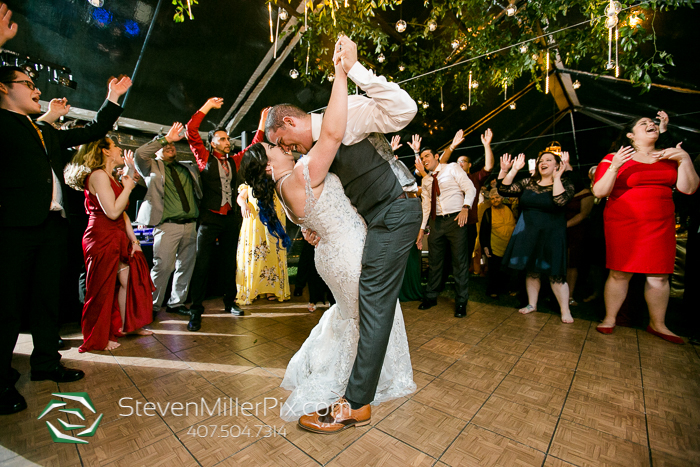 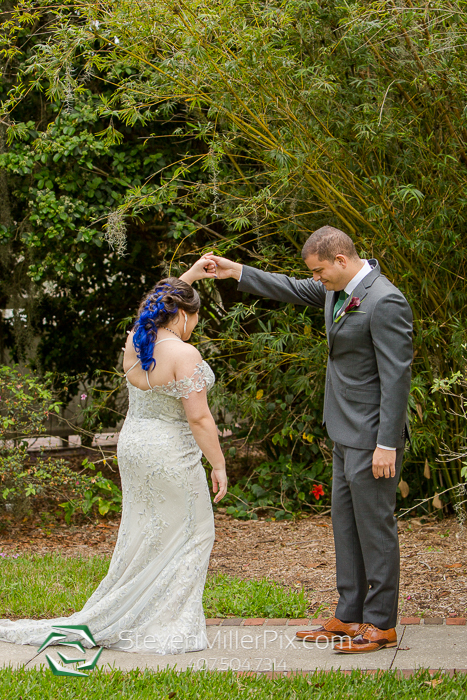 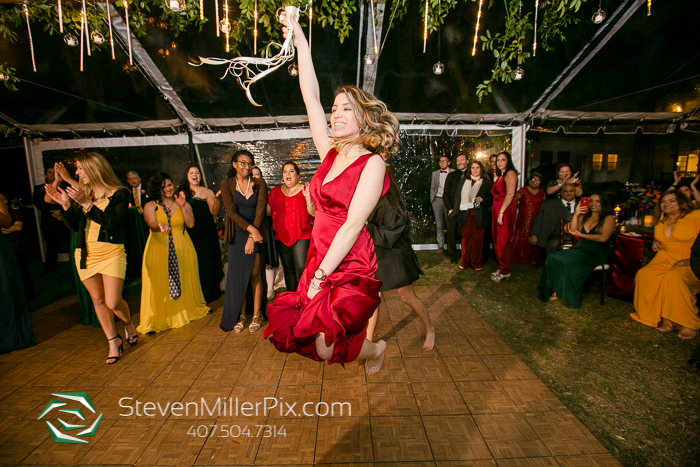 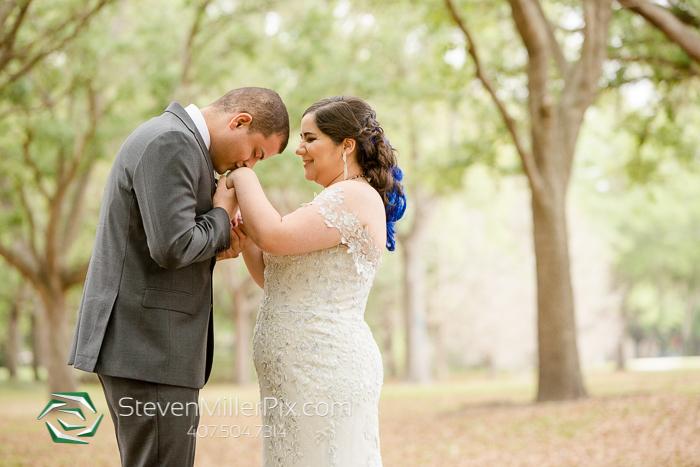 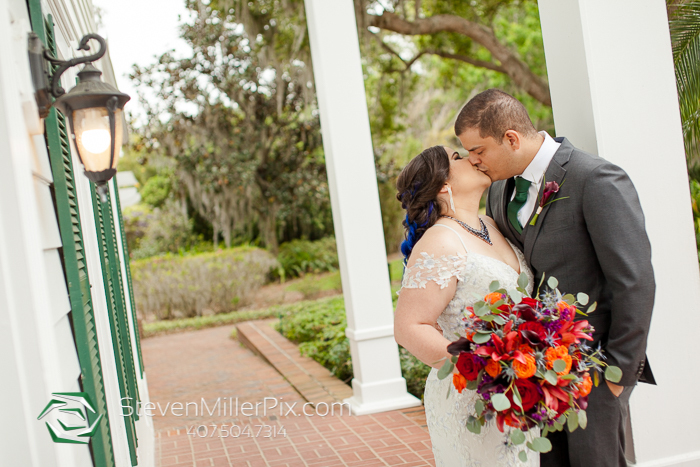 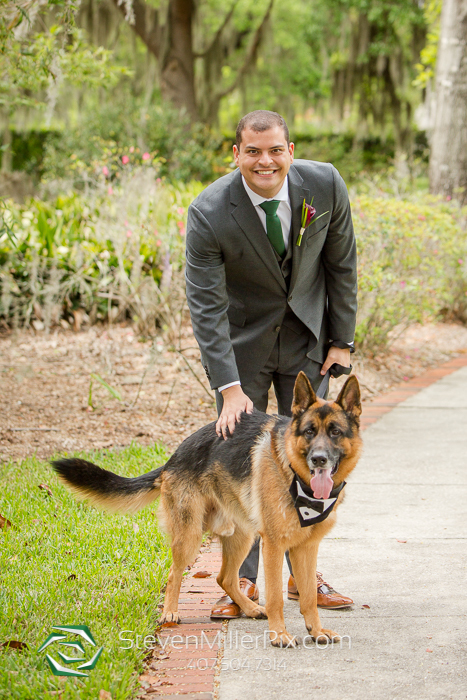 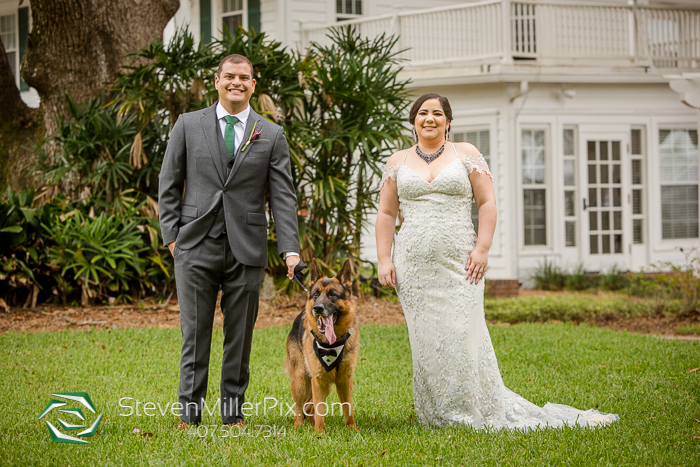 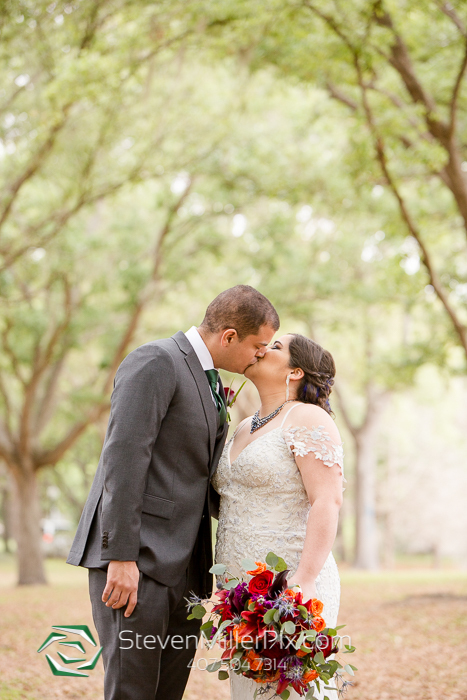 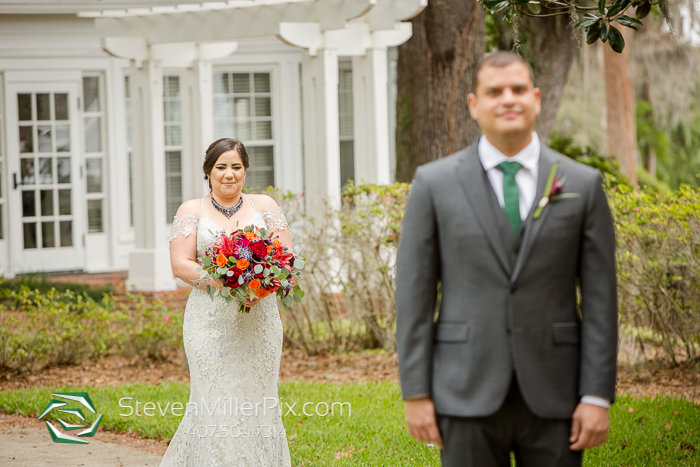 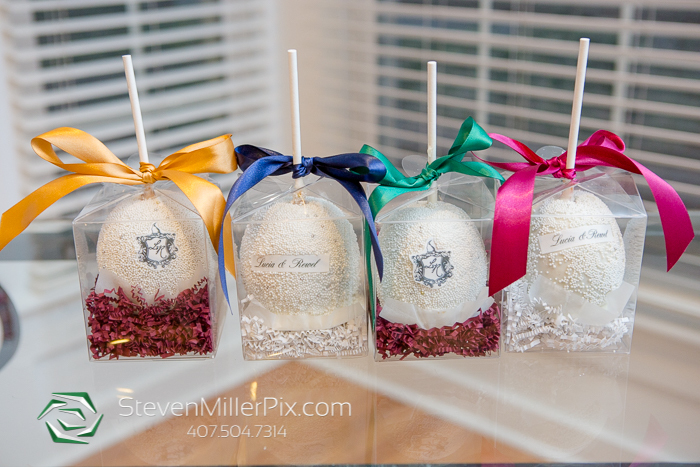 Wedding photographer Nelson and his assistant Alice had the pleasure of capturing the wedding of two great wizards Lucia and Rewel at the Cypress Grove Estate House in Orlando, FL! 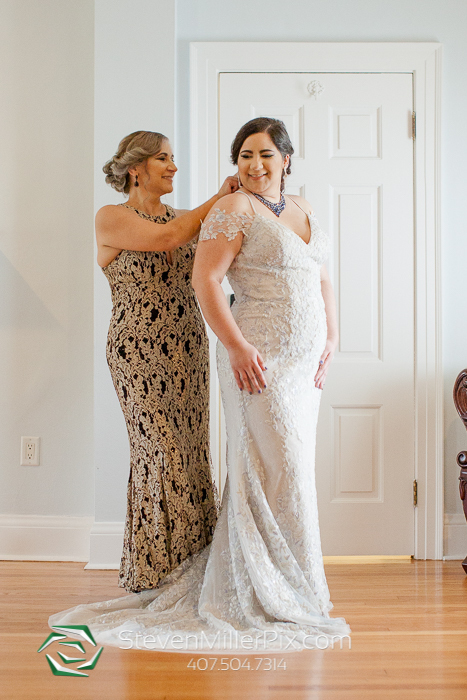 We began the day capturing the bridal preparations of Lucia and her bridal party at her suite in Cypress Grove Estate House! 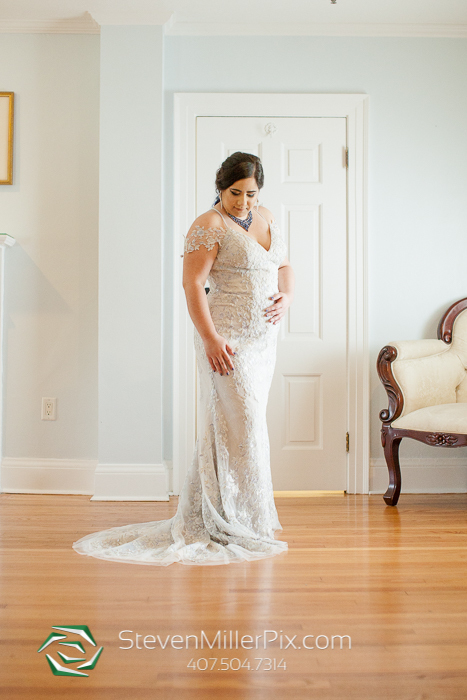 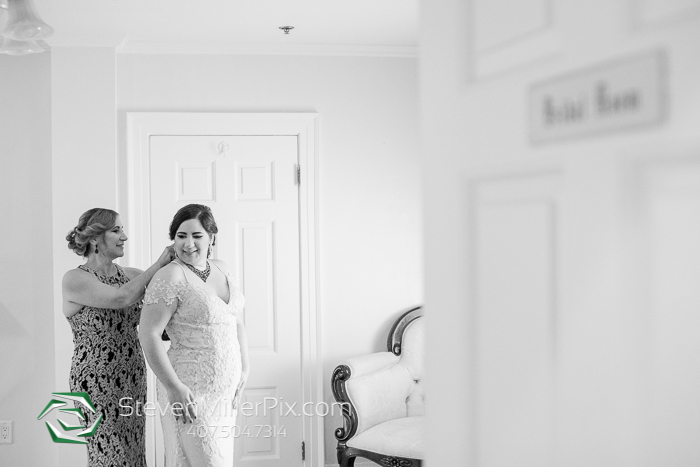 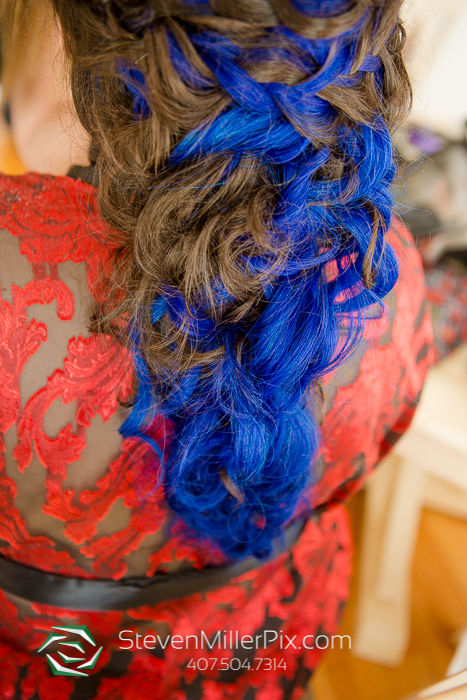 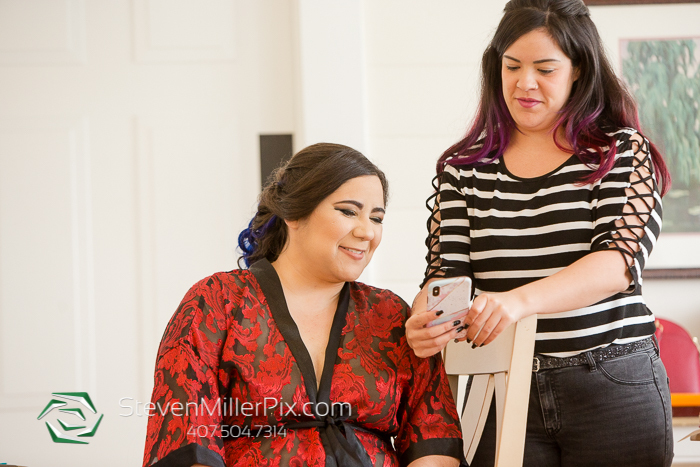 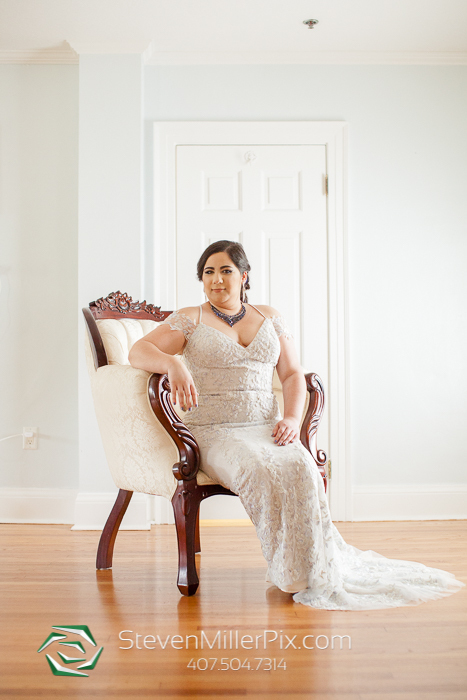 When we arrived, Lucia was getting her hair done by Angelica from Angelica Grace at Style Studio and the bridal party was finishing with their makeup by Alicia at Hamicia Beauty! 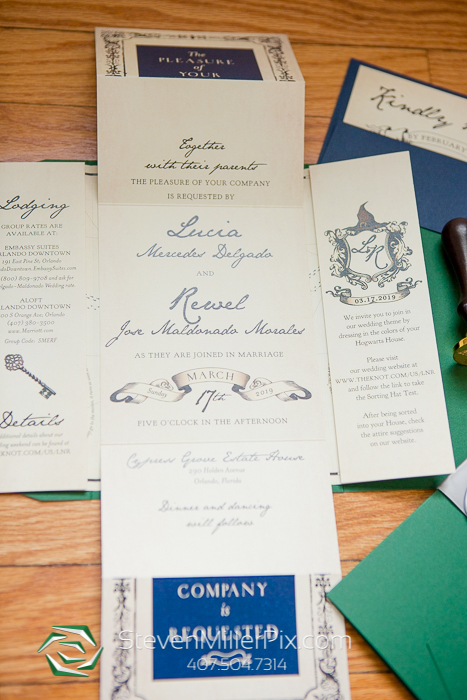 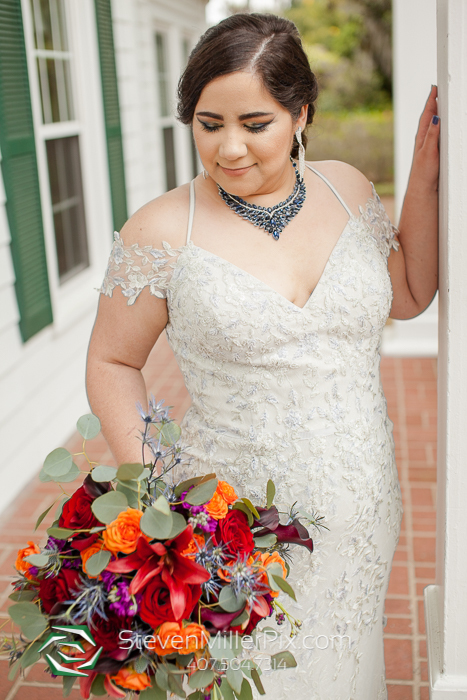 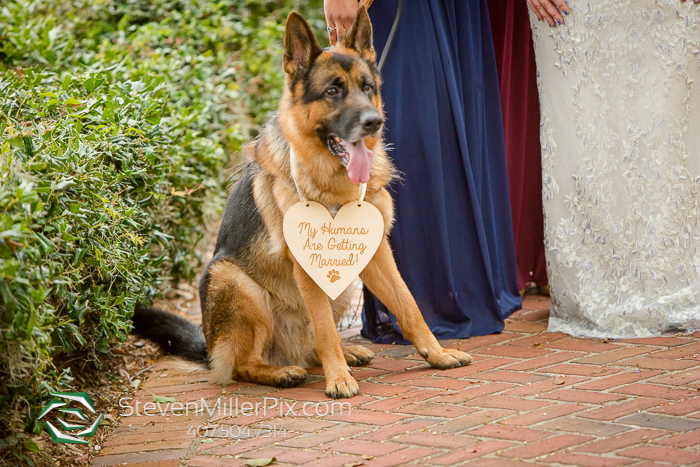 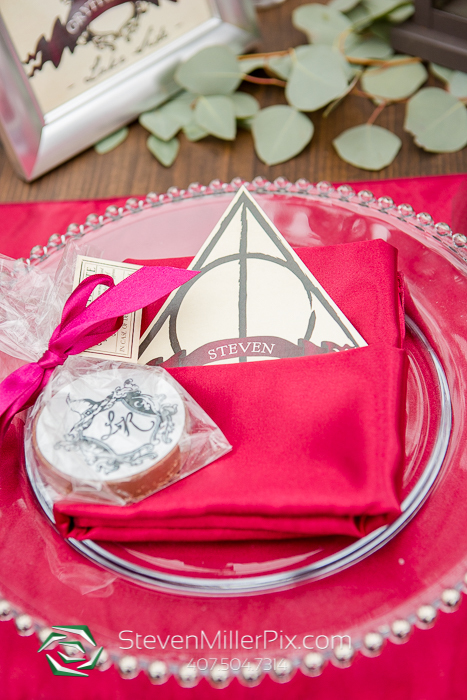 While at the bridal suite, Nelson took the opportunity to capture some great shots of Lucia’s wedding gown and the great invitations that were created by Dogwood Blossom Stationery to send out to all their Muggle and Wizard guests!! 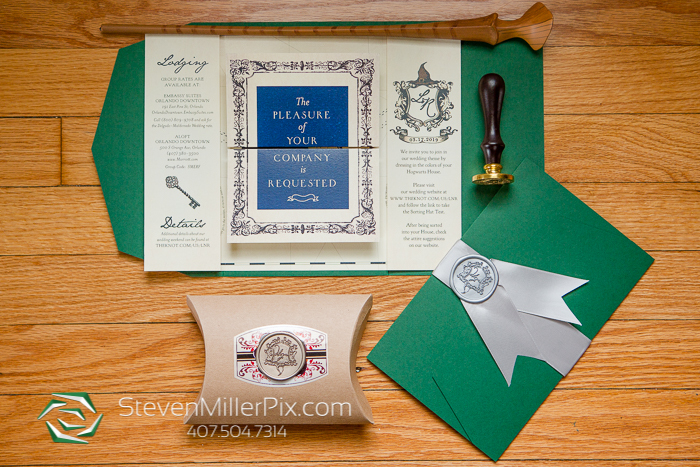 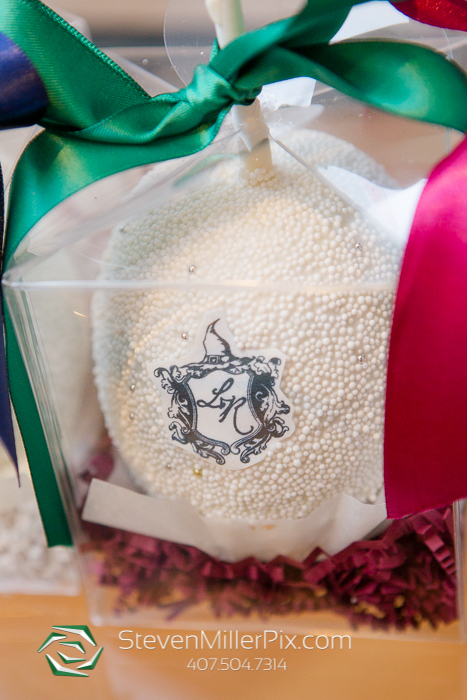 We can’t help but wonder if the Owl Parcel Service delivered them? 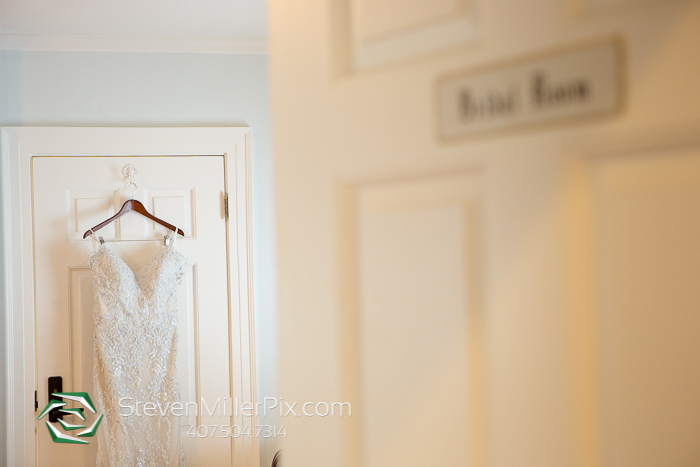 Once she was ready, we photographed some portraits of her right before we headed outside to meet Rewel for the first look! 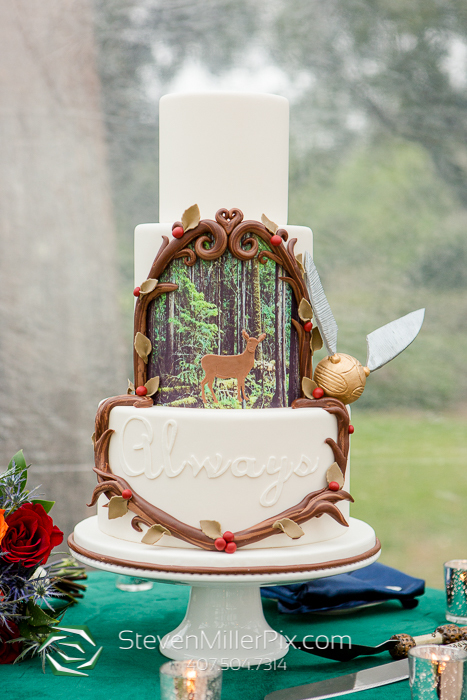 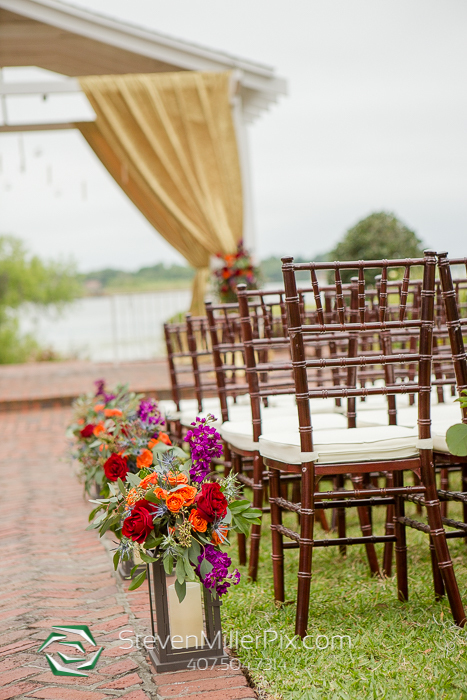 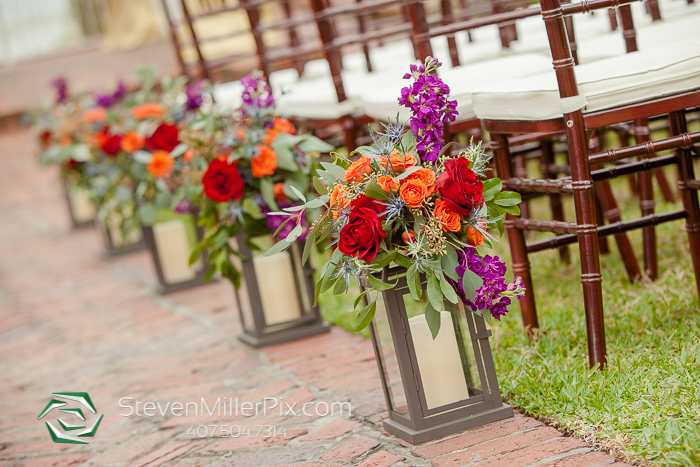 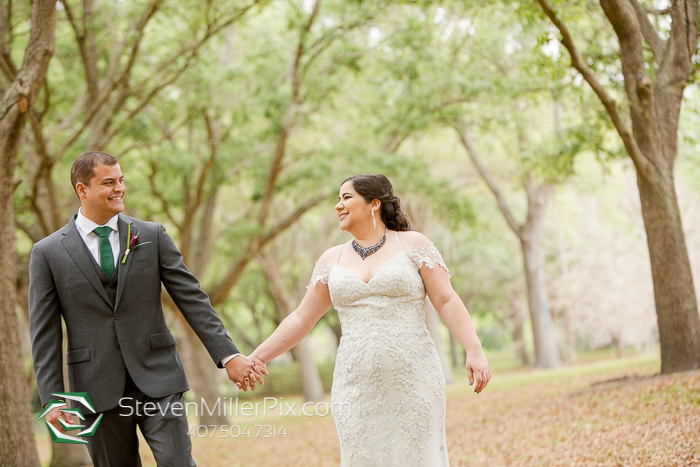 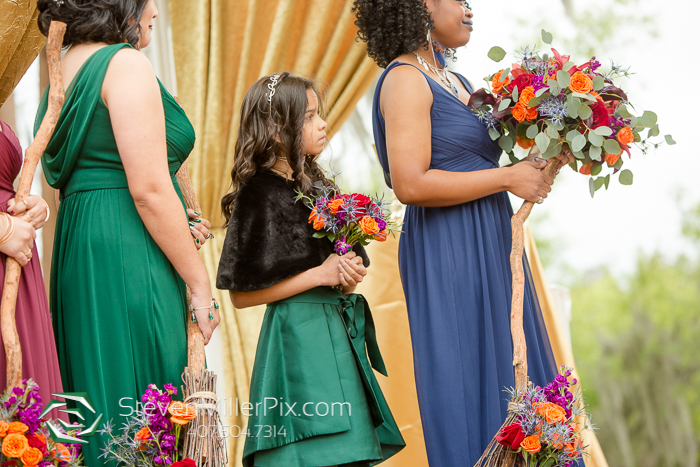 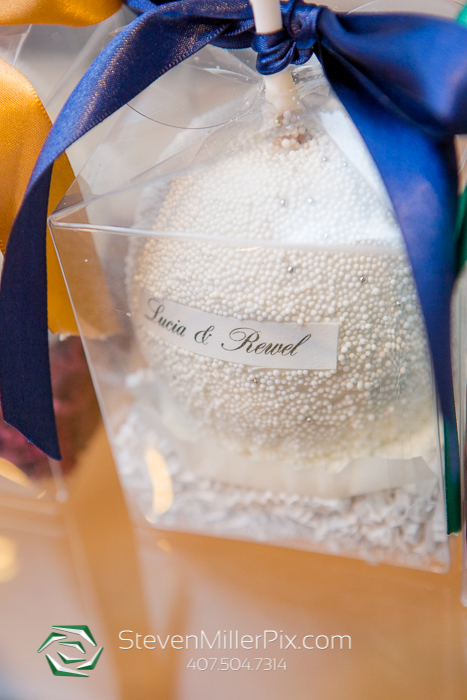 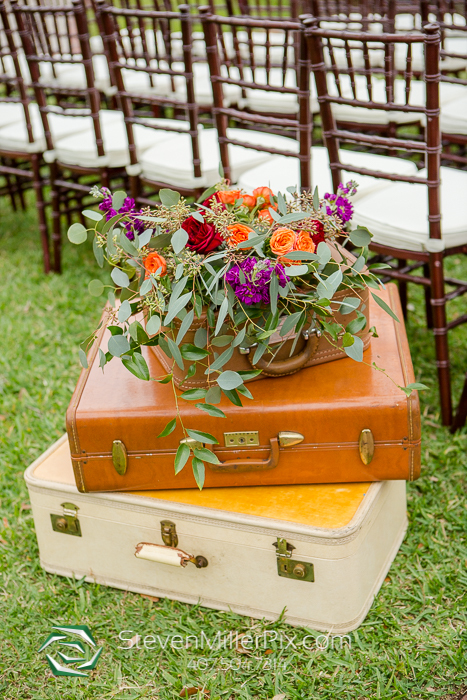 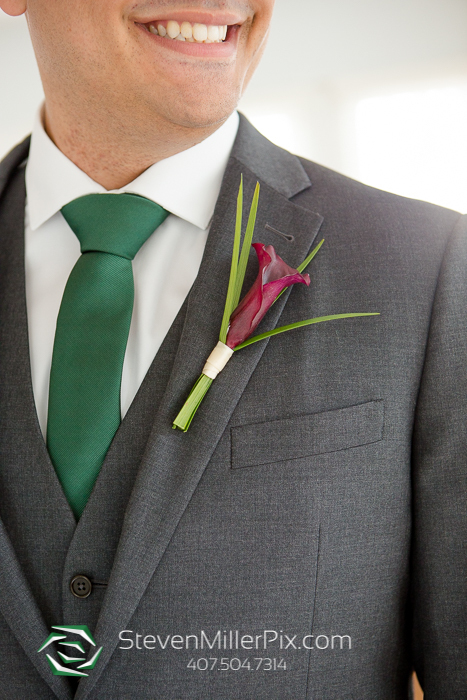 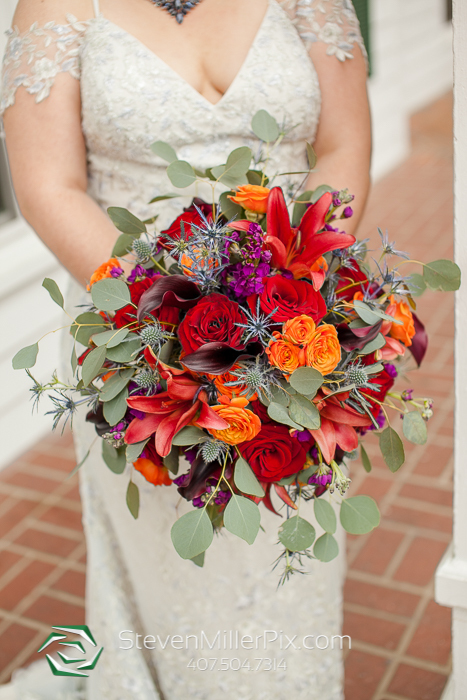 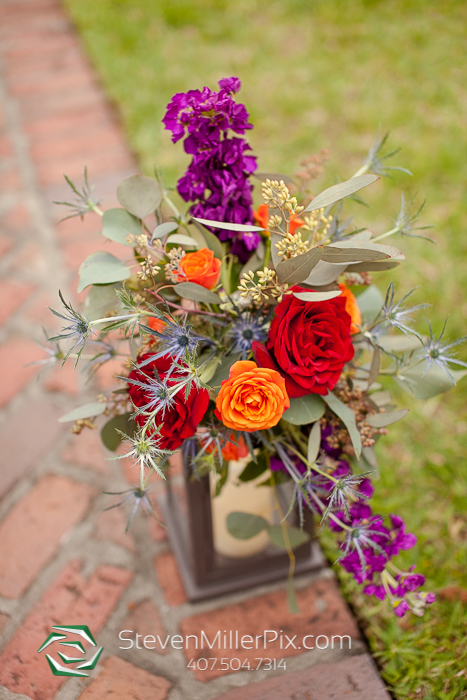 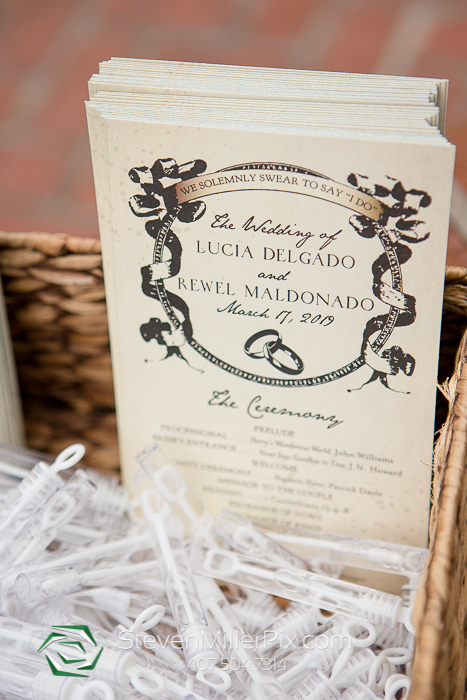 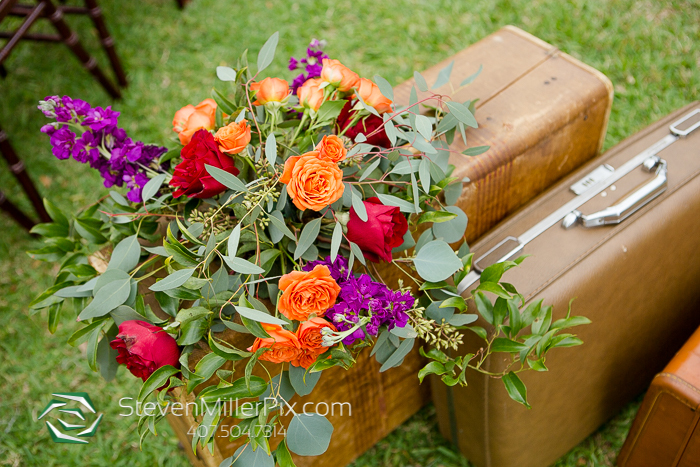 This was such a great first look both Lucia and Rewel! 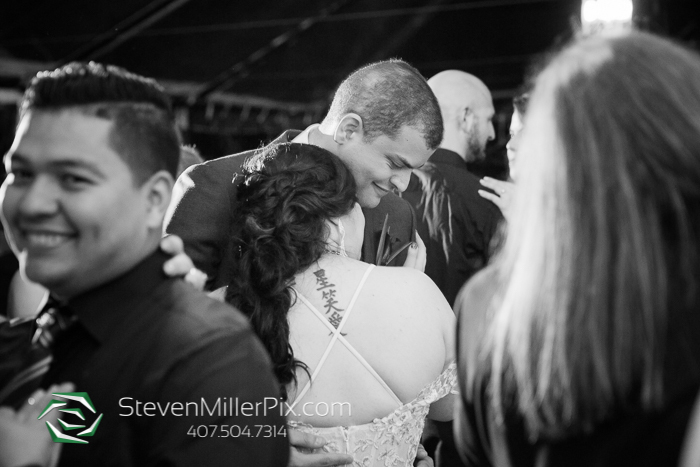 They honestly could not wait to see each other; it was such an emotional encounter with lots of happy tears! 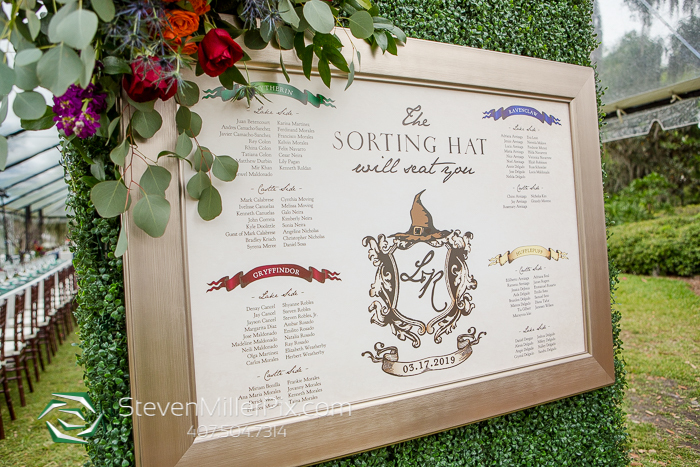 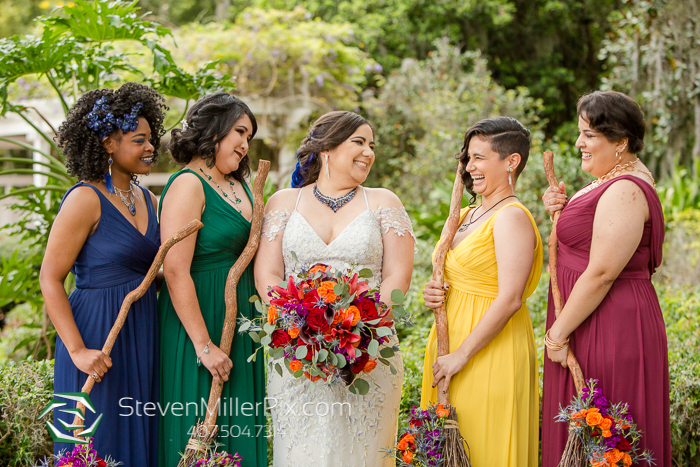 Afterwards, we gathered the bridal party for group photos, and it so happened that each one was representing one of the four houses at Hogwarts! 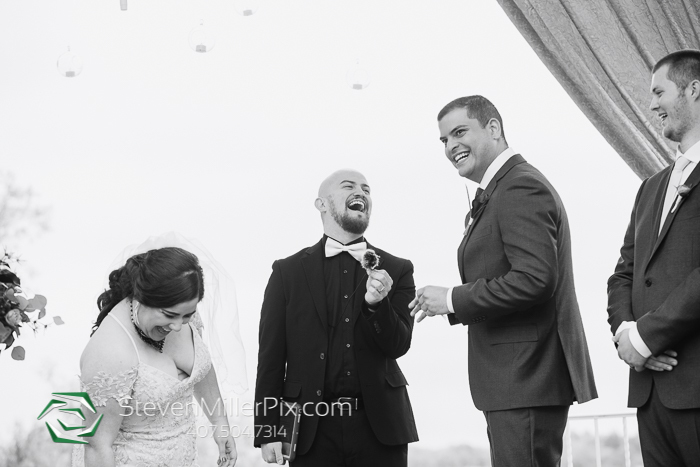 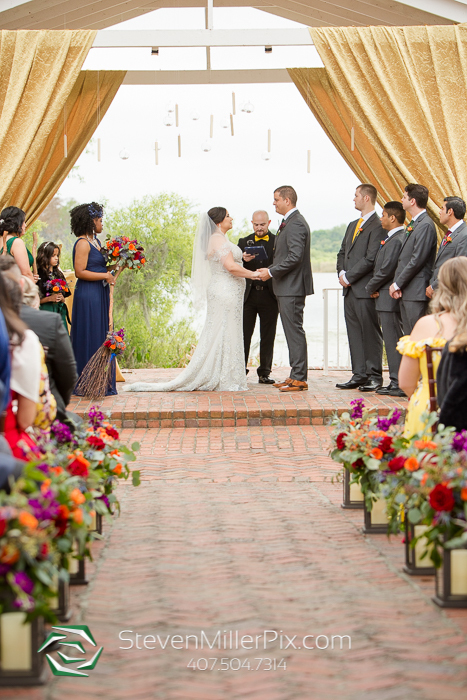 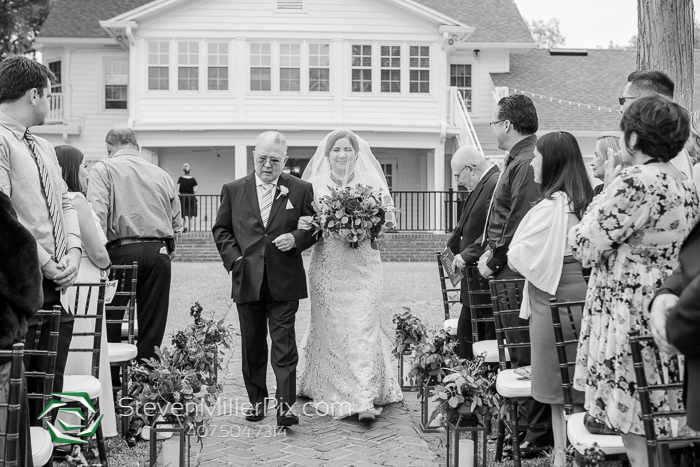 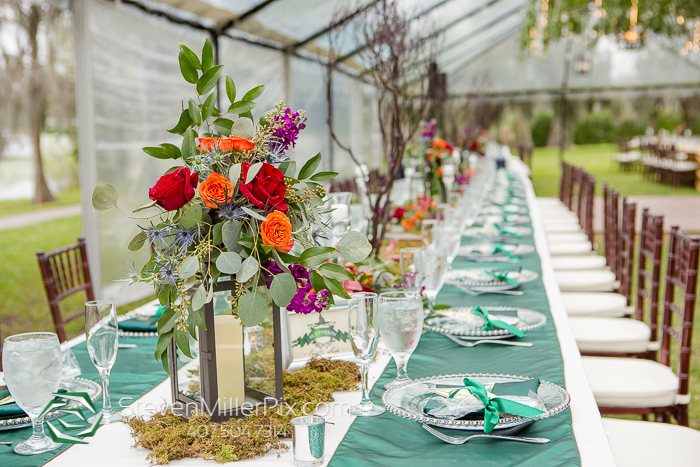 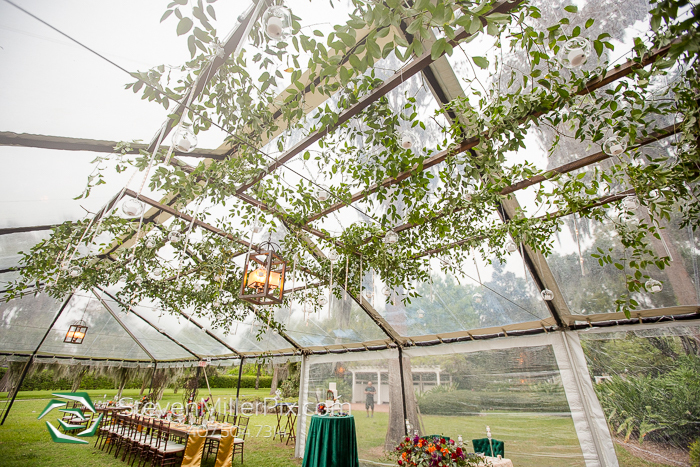 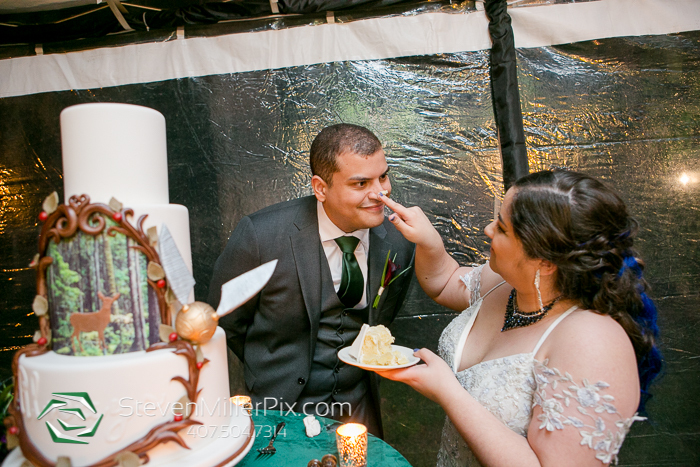 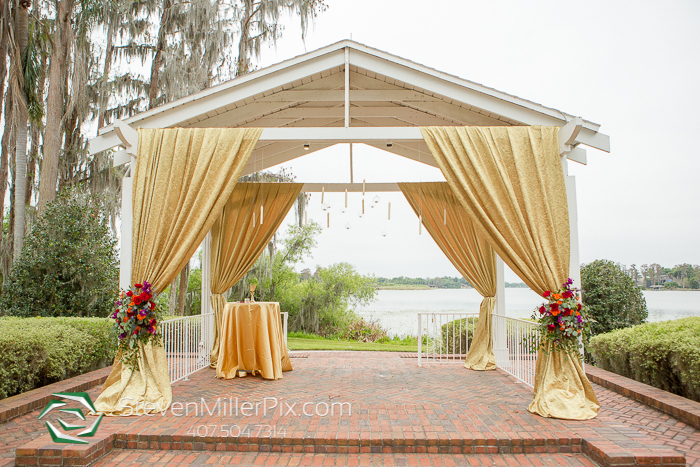 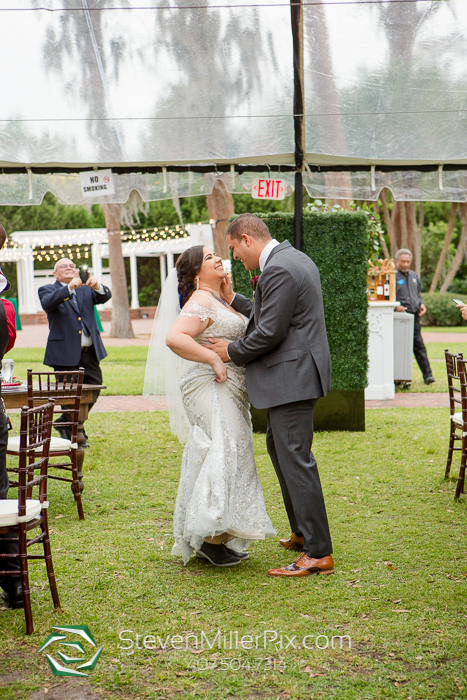 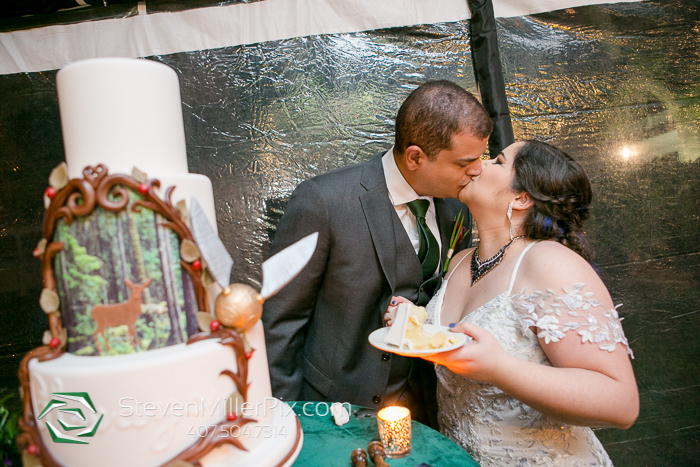 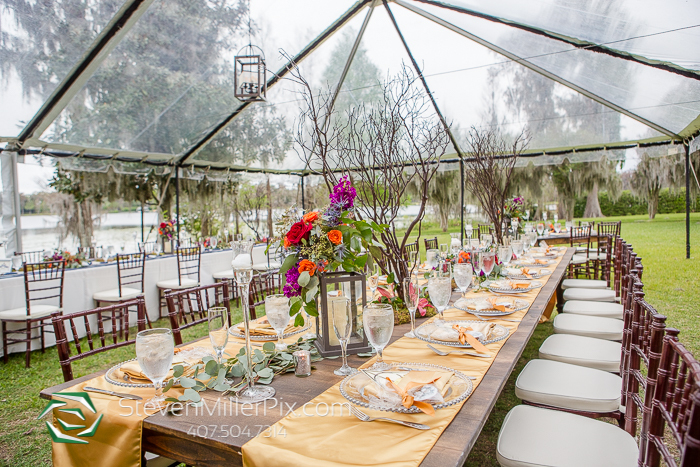 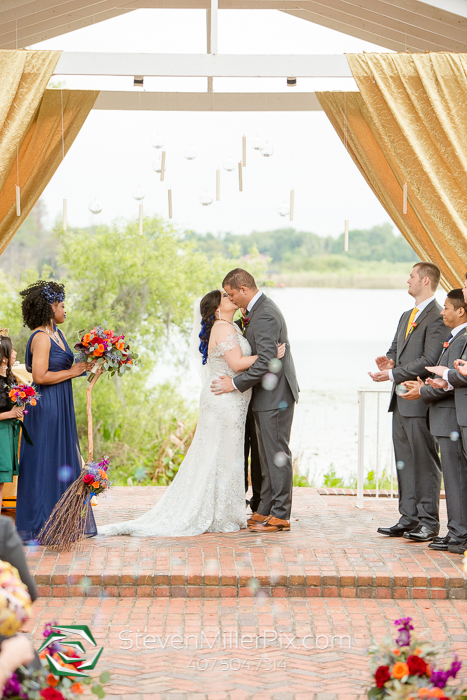 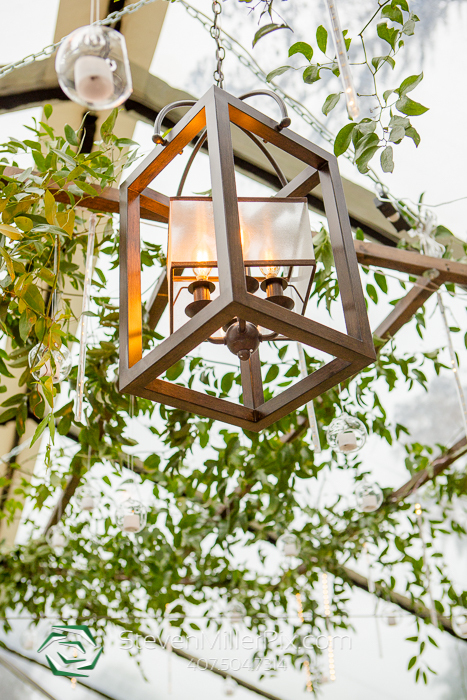 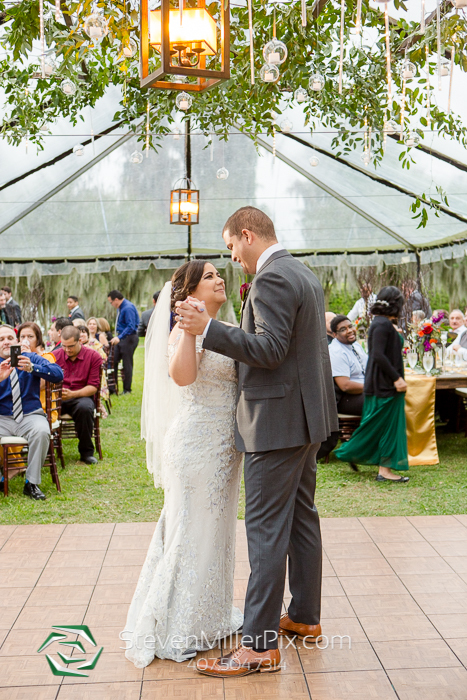 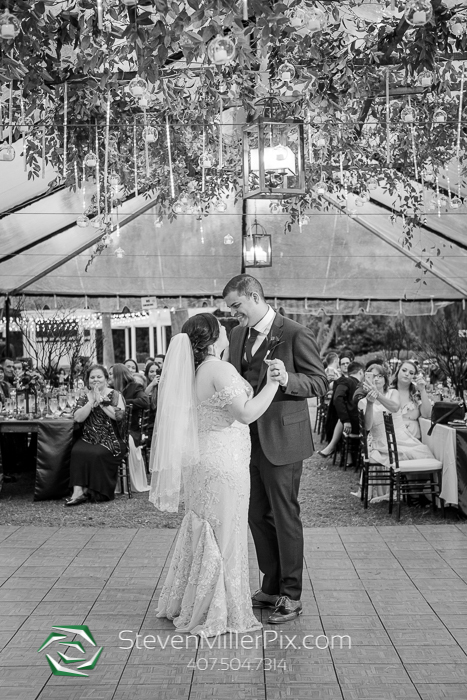 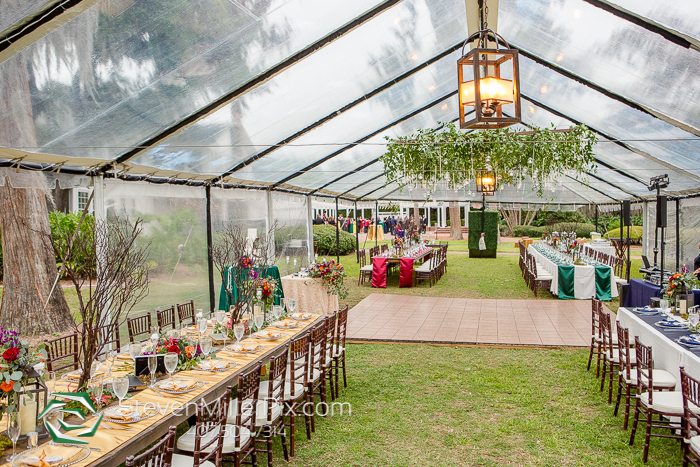 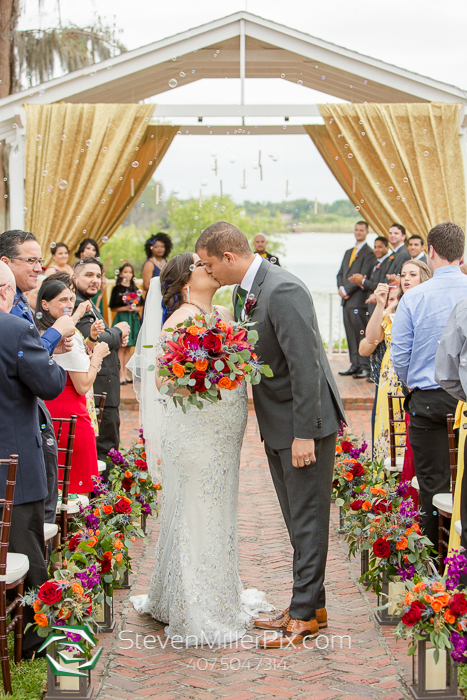 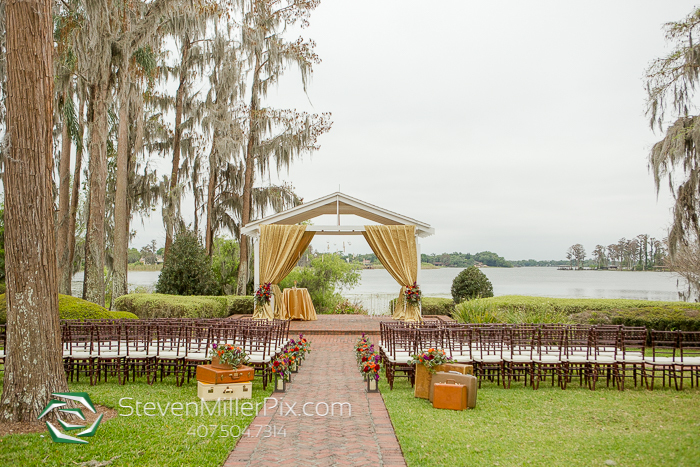 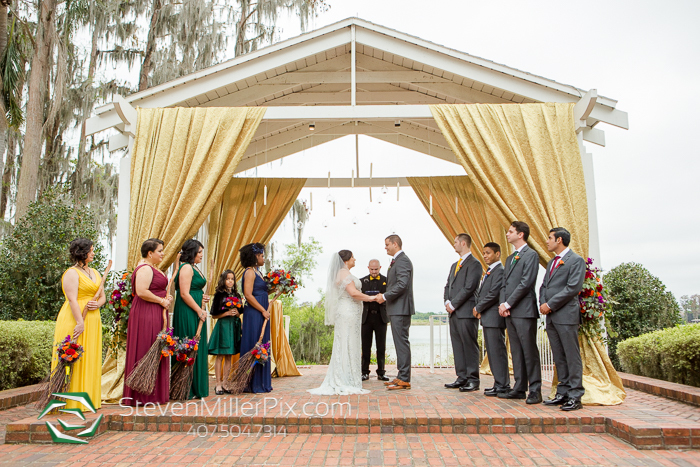 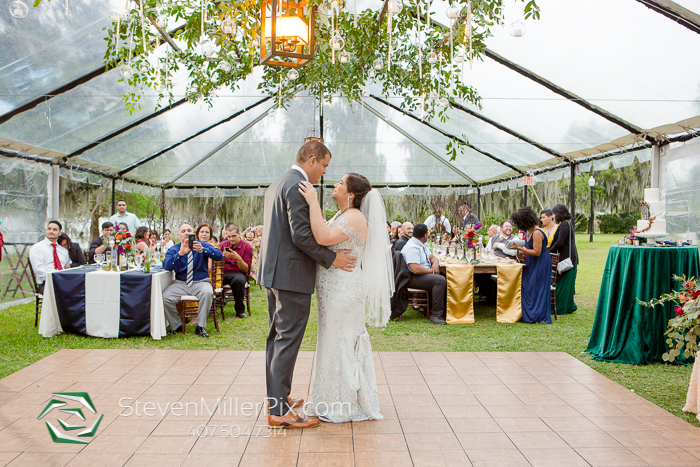 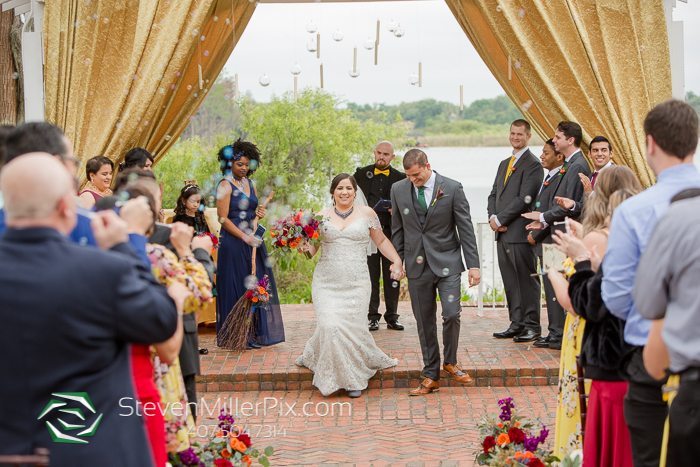 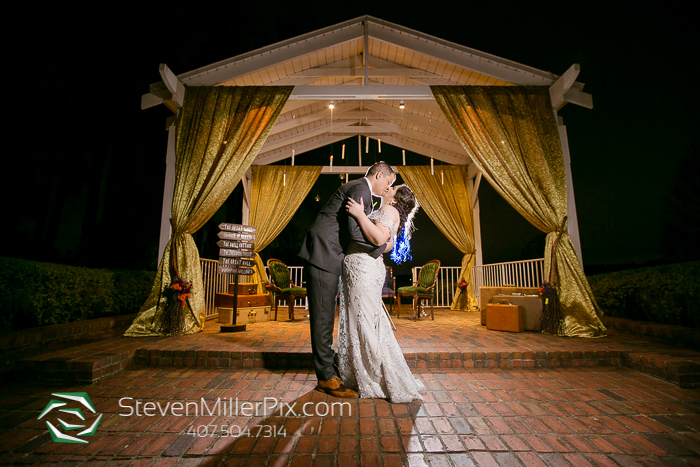 Their outdoor wedding ceremony was held under the gazebo at the Estate House and could not have been any more magical! 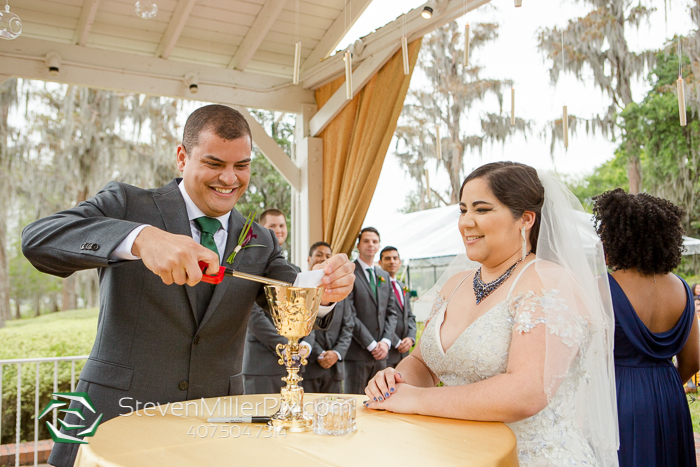 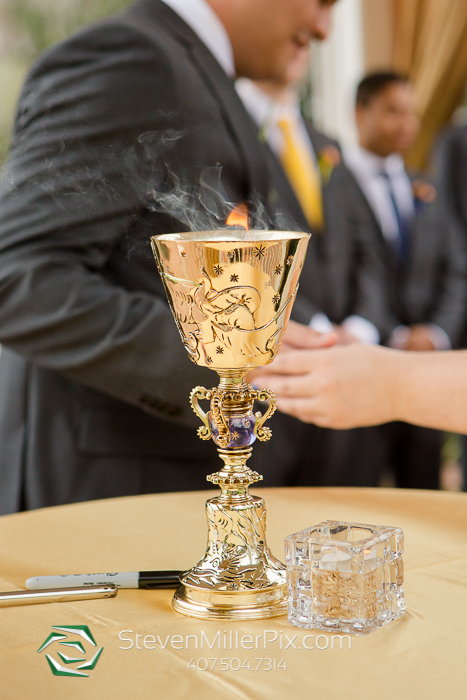 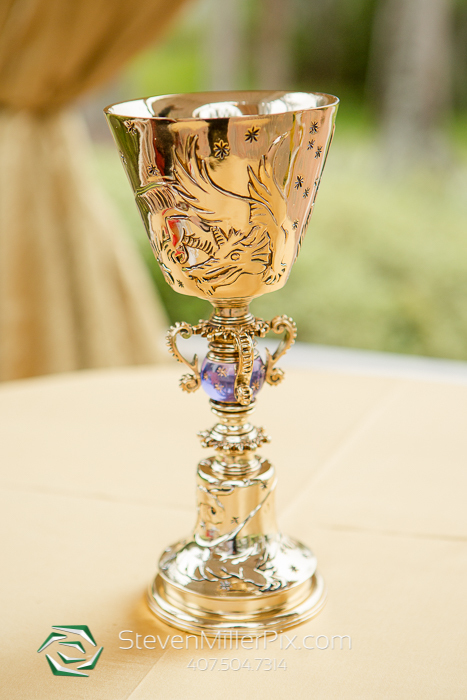 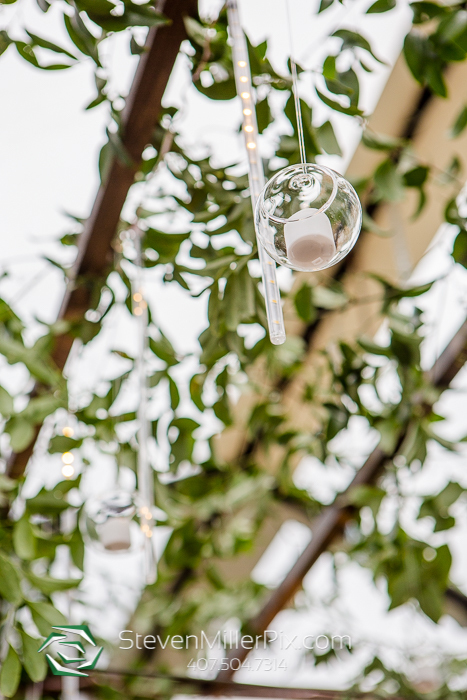 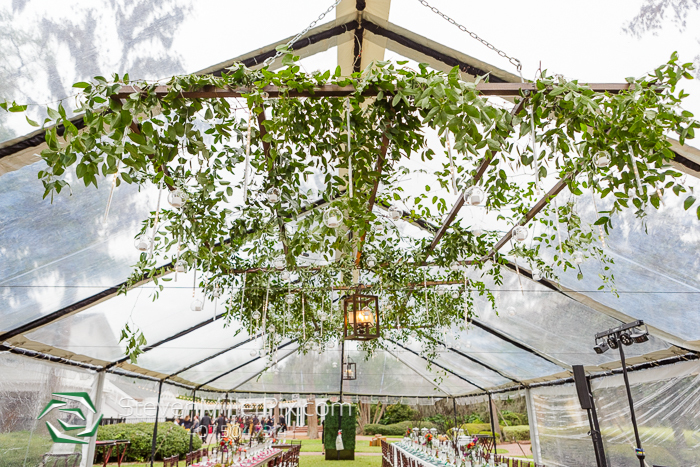 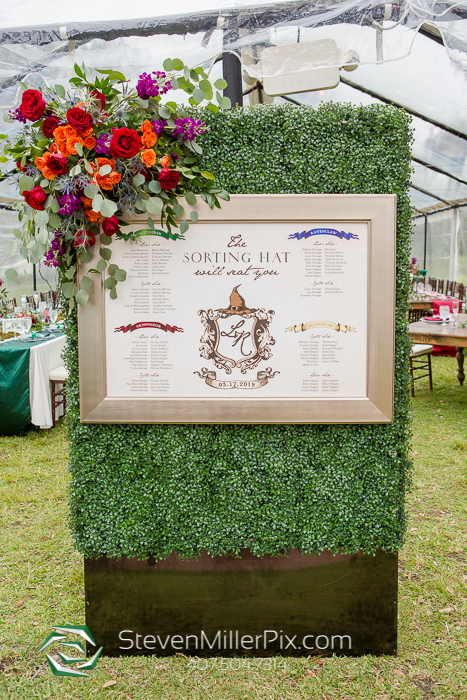 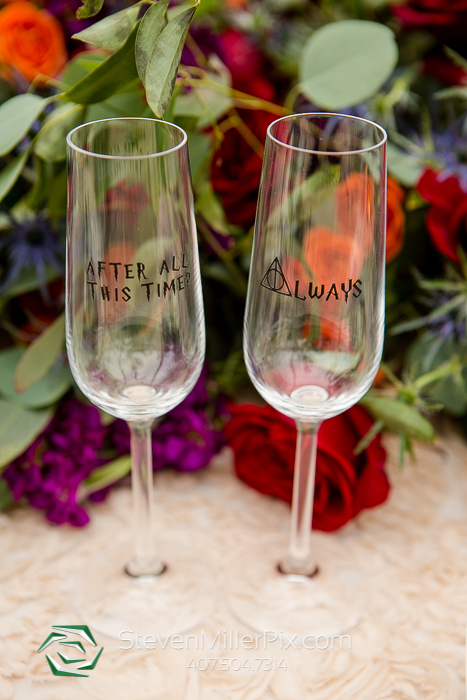 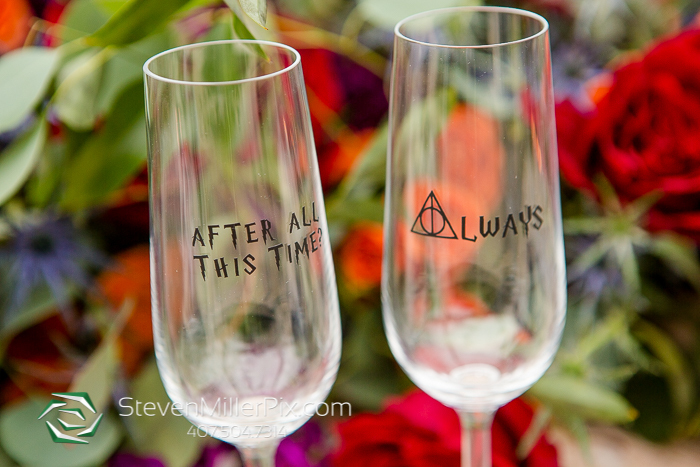 Under a canopy of floating candles, Lucia and Rewel came together to place their names into the Goblet of Fire before the officiant began the ceremony! 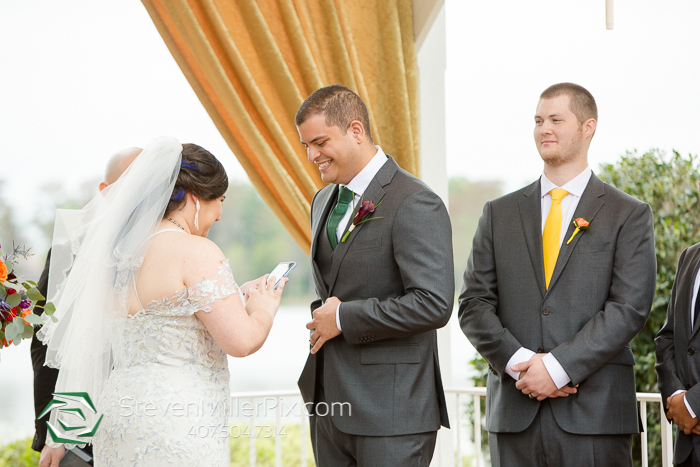 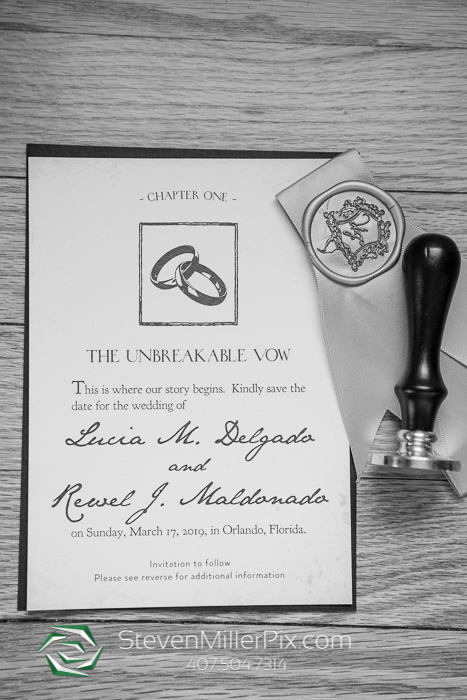 Officiated by Derick Morales, Lucia and Rewel read their vows and exchanged their much-awaited I Do’s! 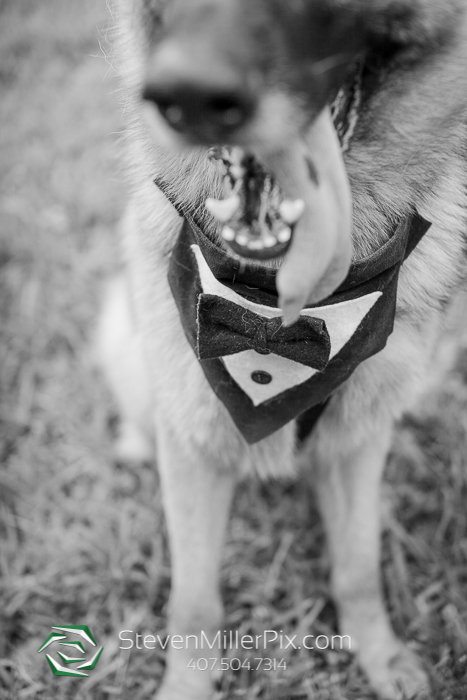 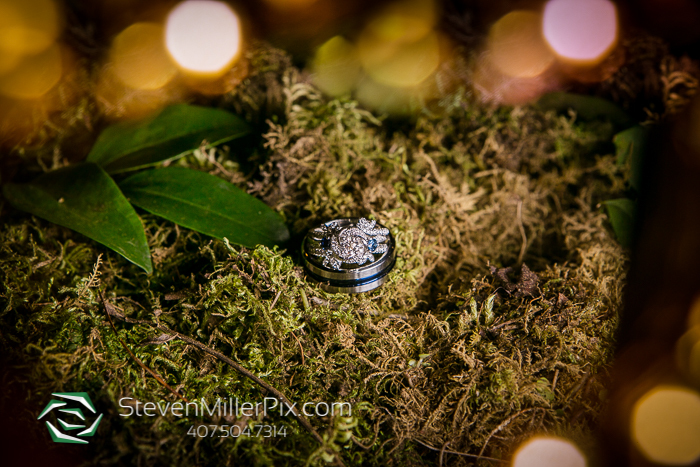 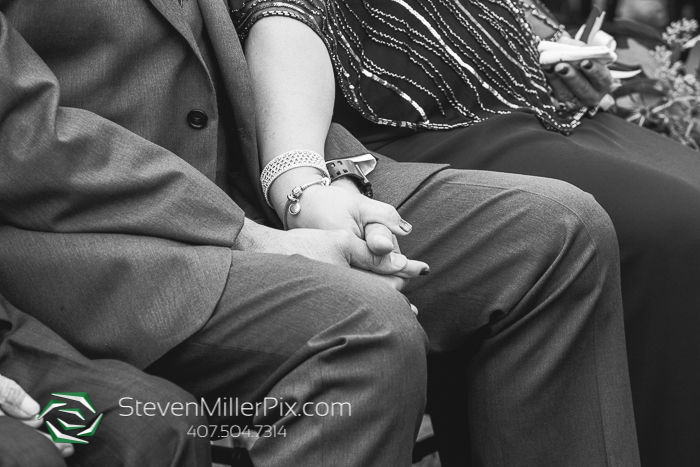 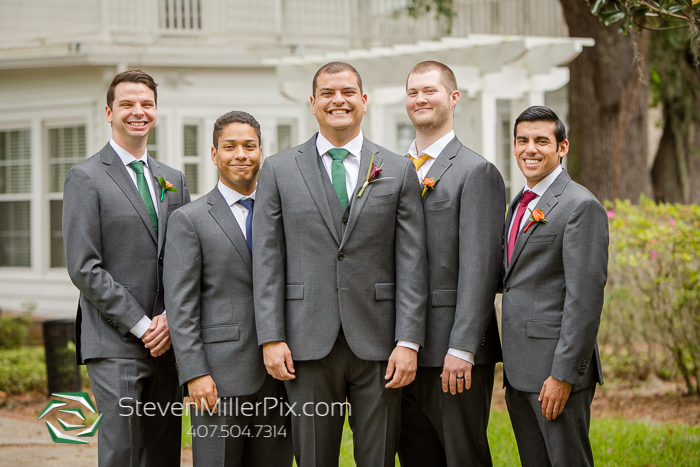 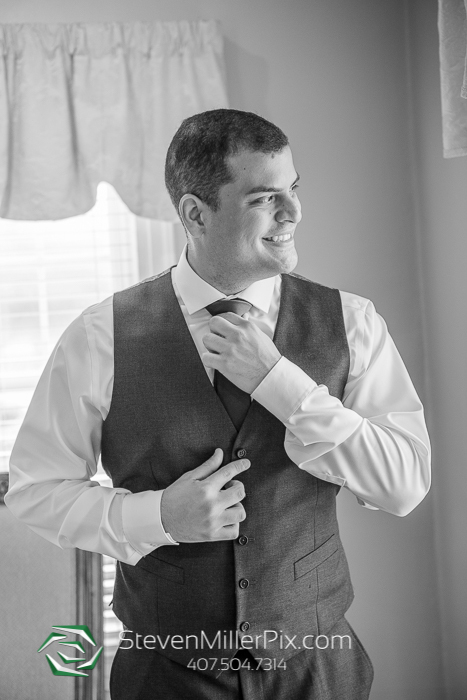 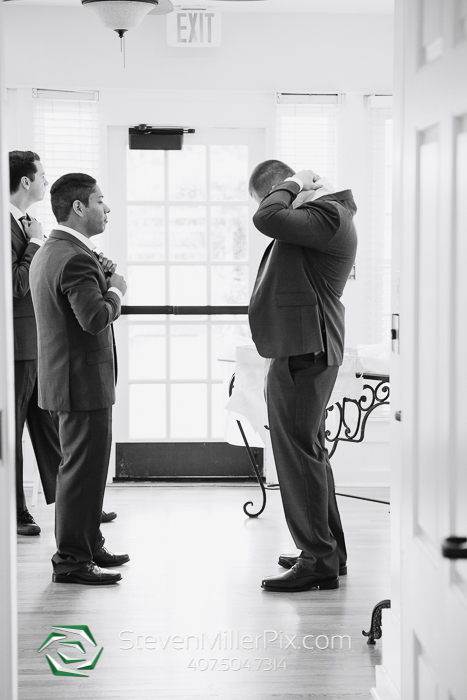 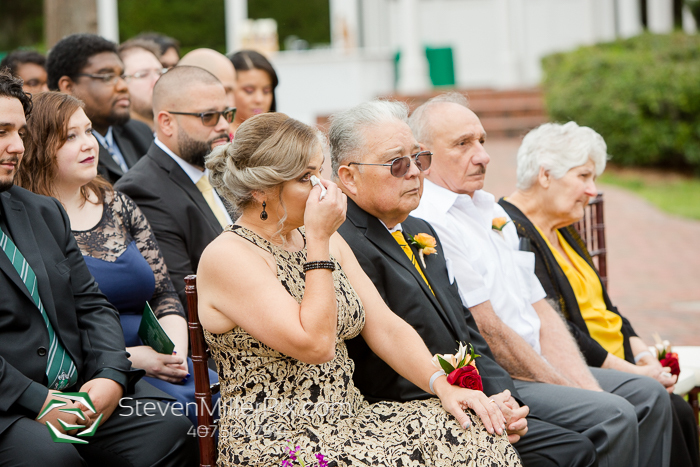 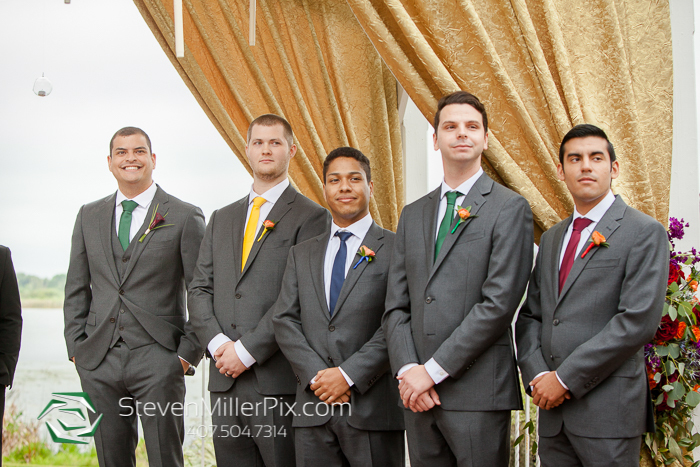 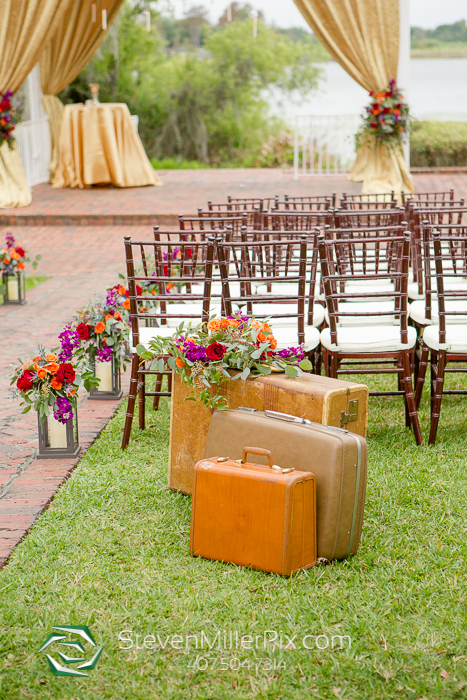 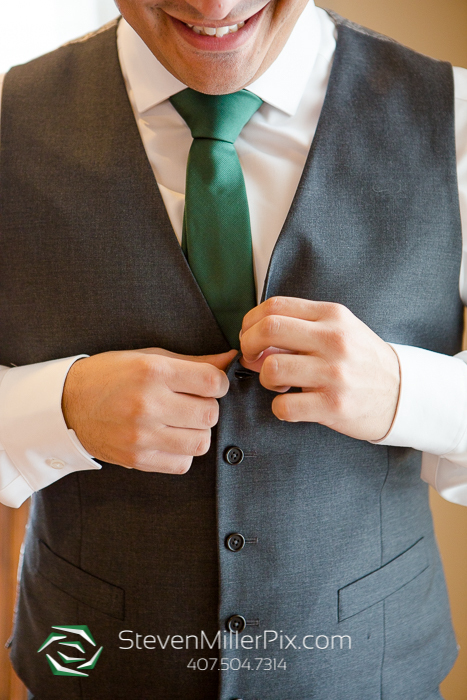 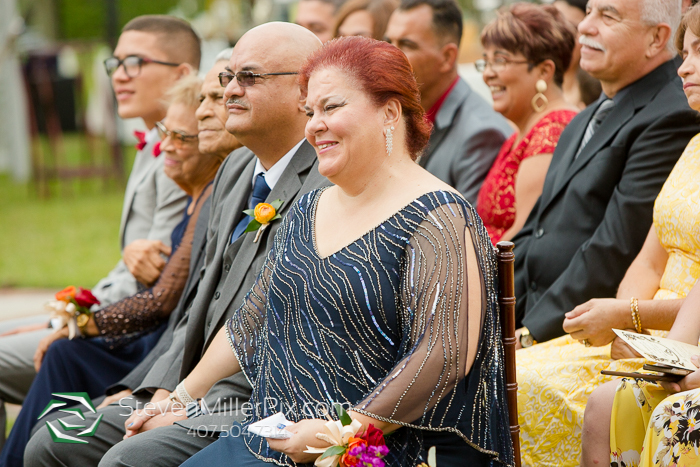 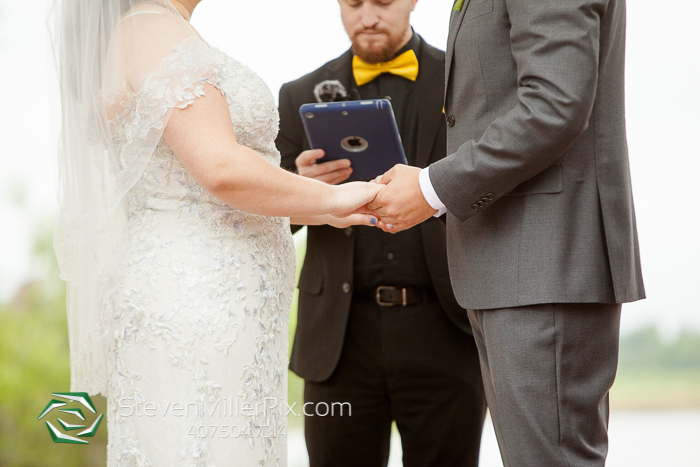 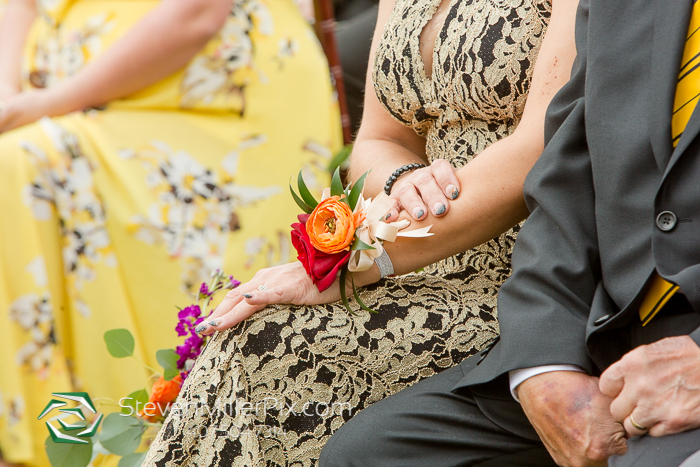 Once the ceremony was over, we quickly began to gather the family for portraits along with the bridal party!